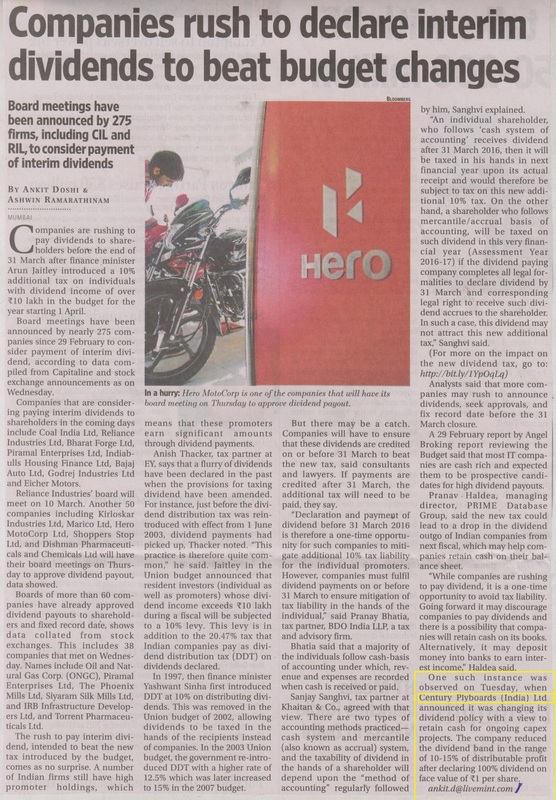 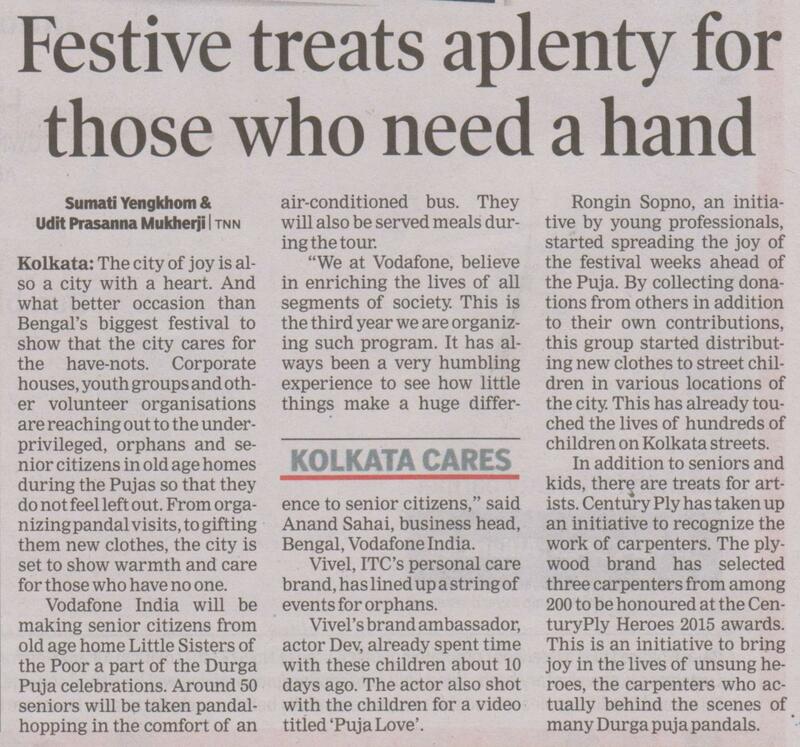 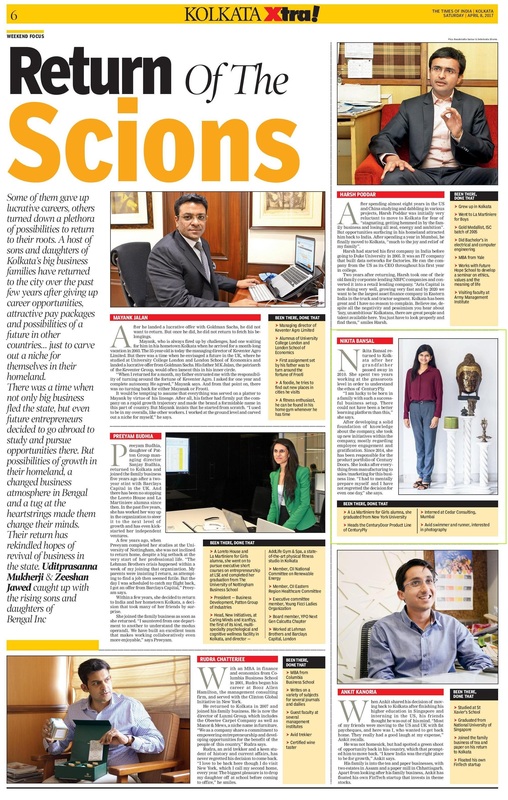 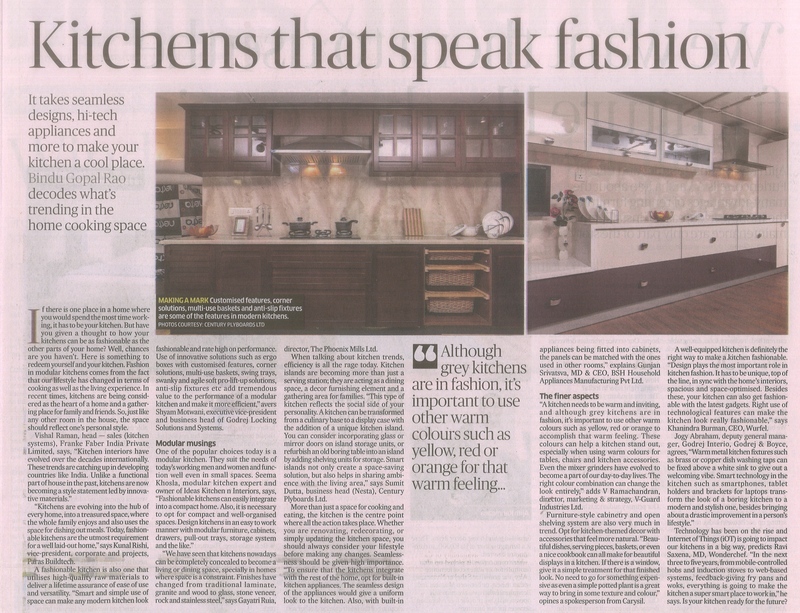 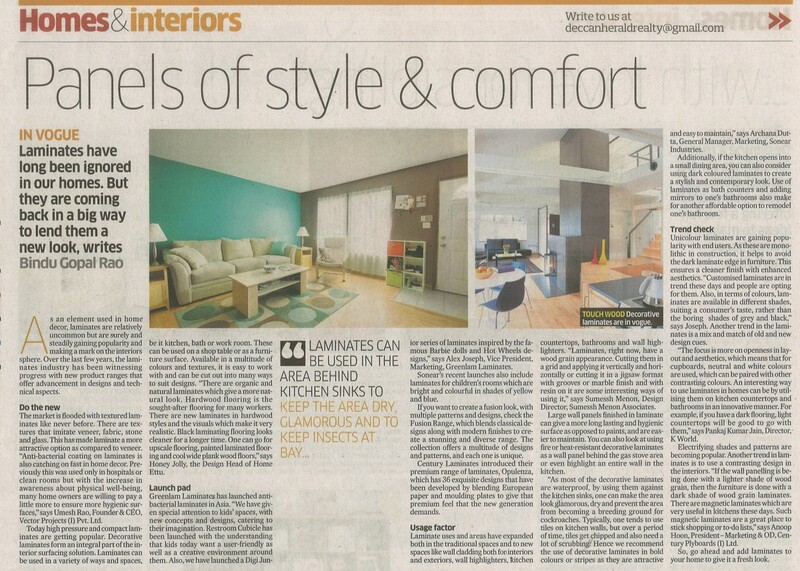 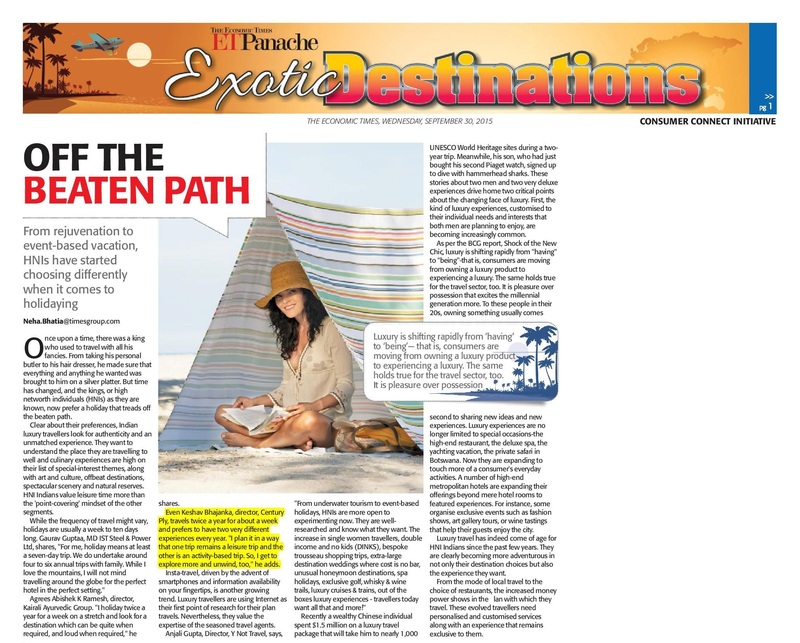 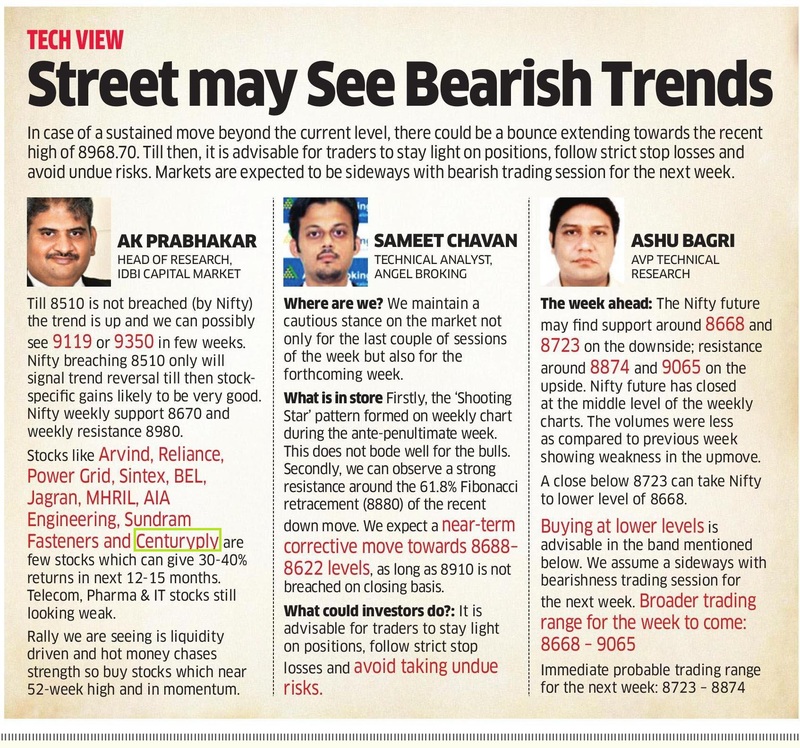 Ms. Nikita Bansal as appeared in The Times of India. 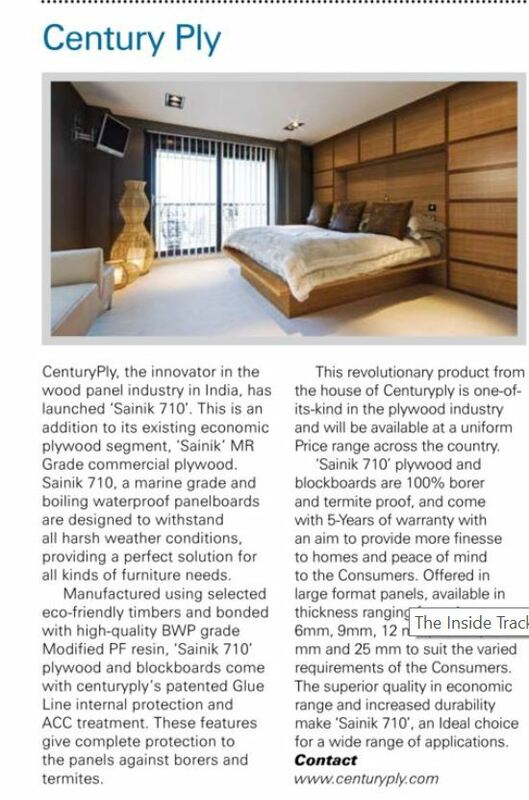 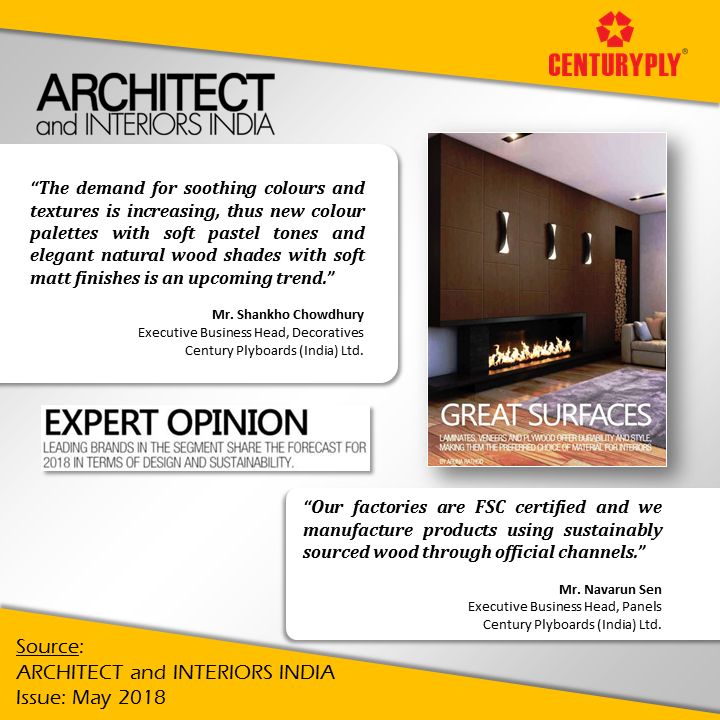 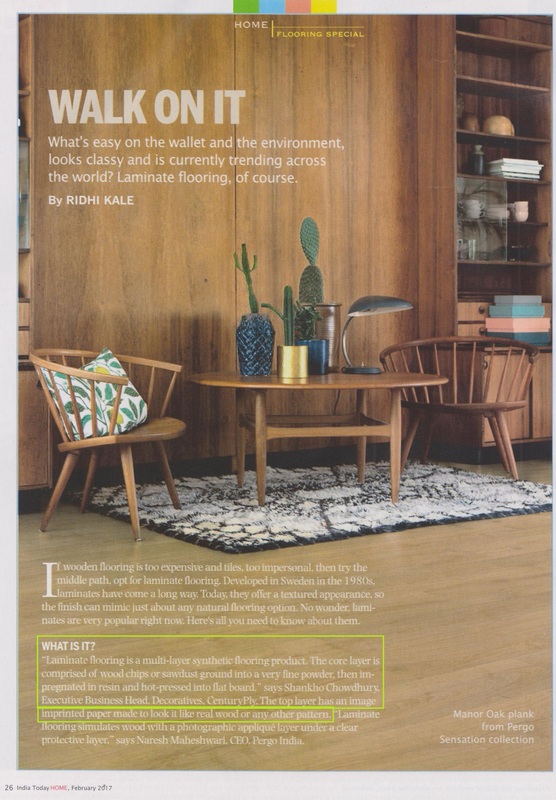 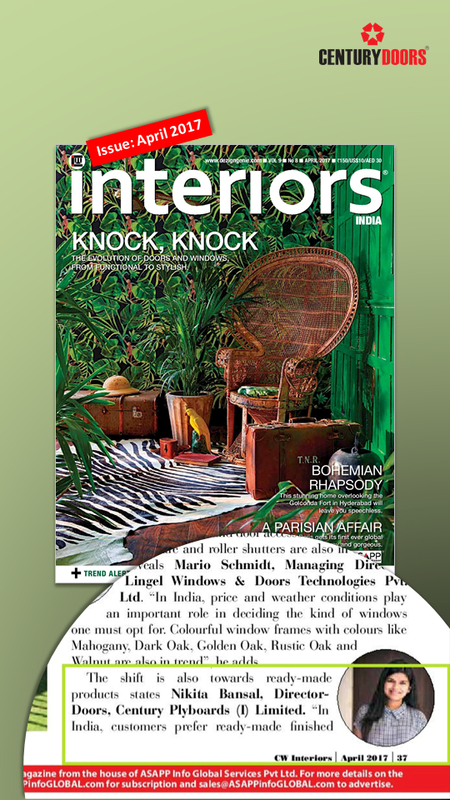 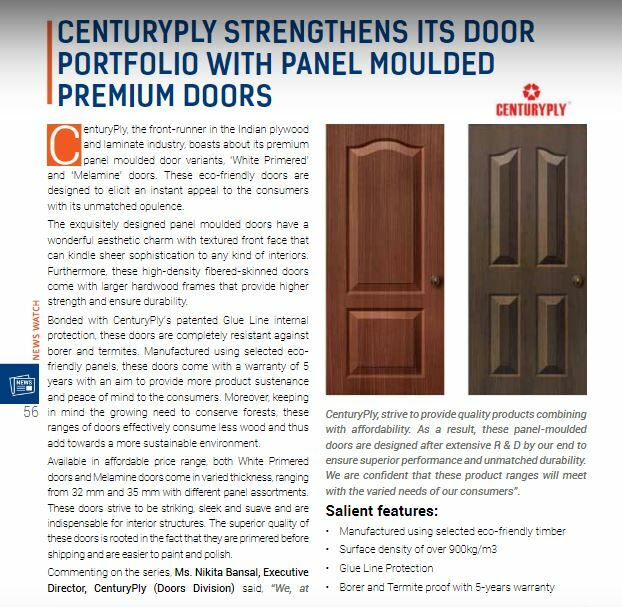 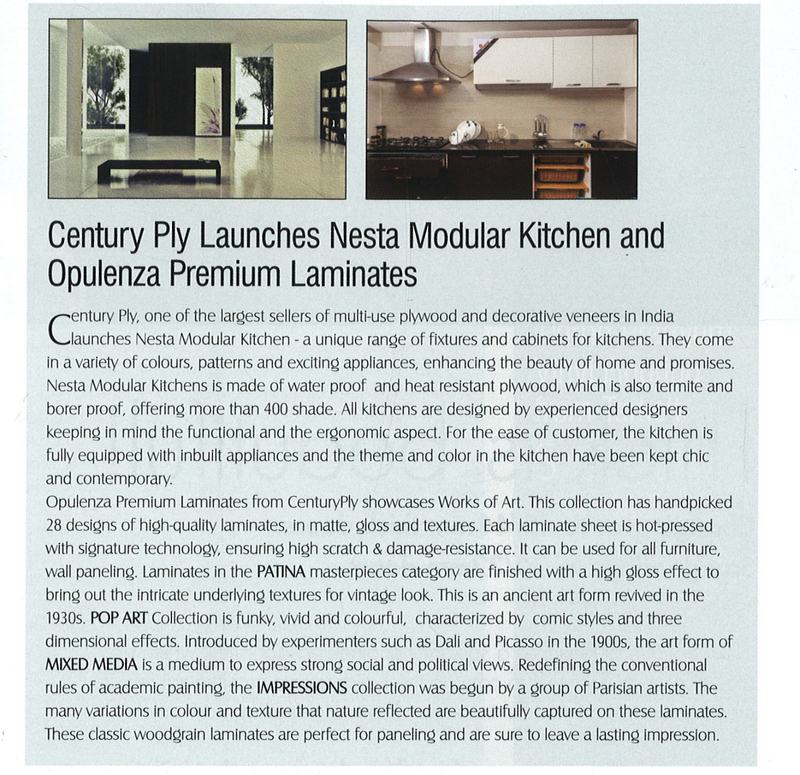 An amazing article, published in CW Interiors (Issue: Apr '17), featuring Ms. Nikita Bansal (Director, CenturyDoors). 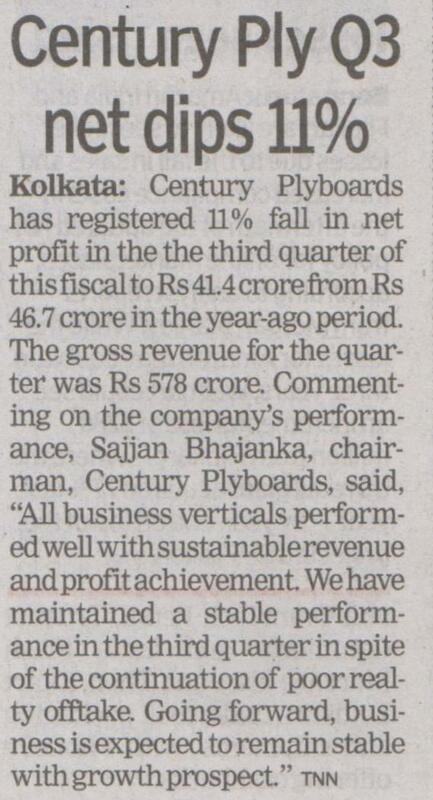 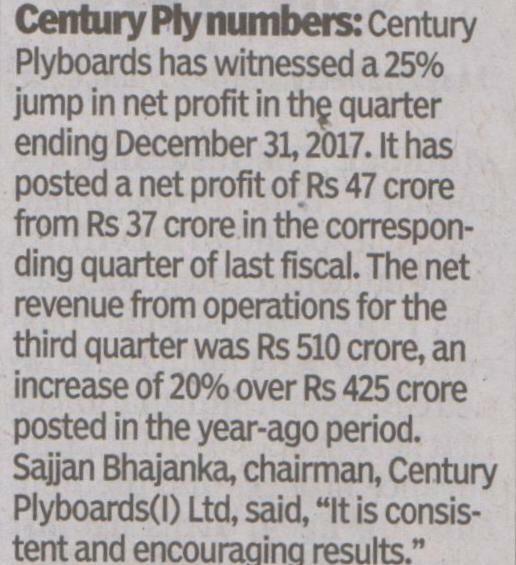 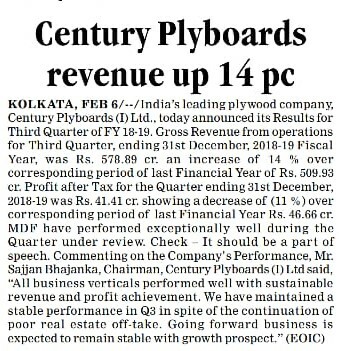 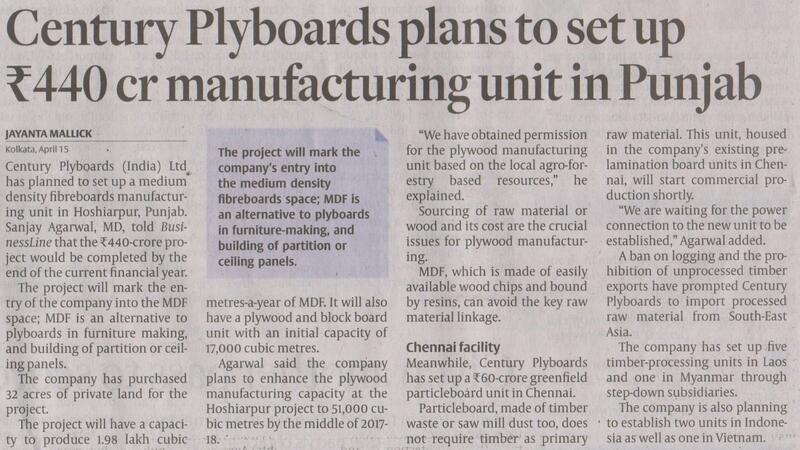 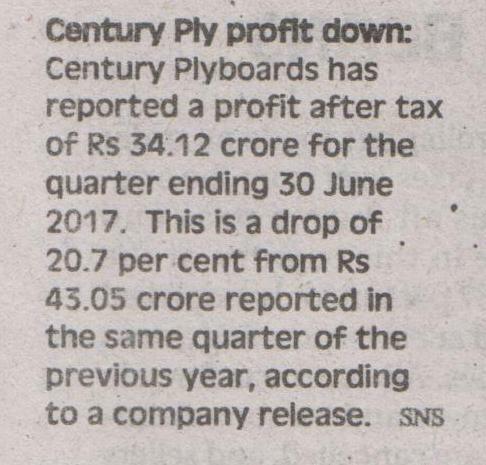 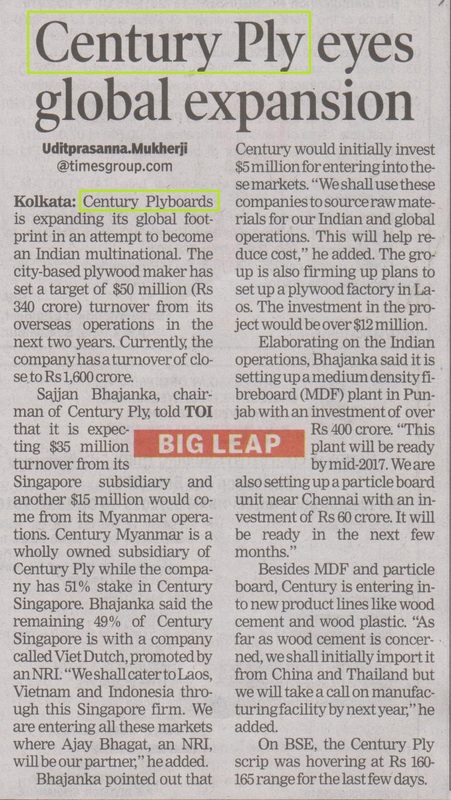 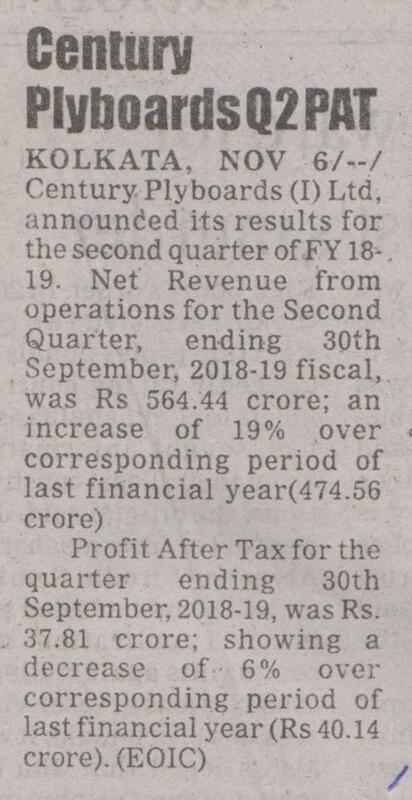 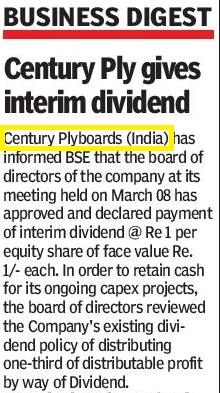 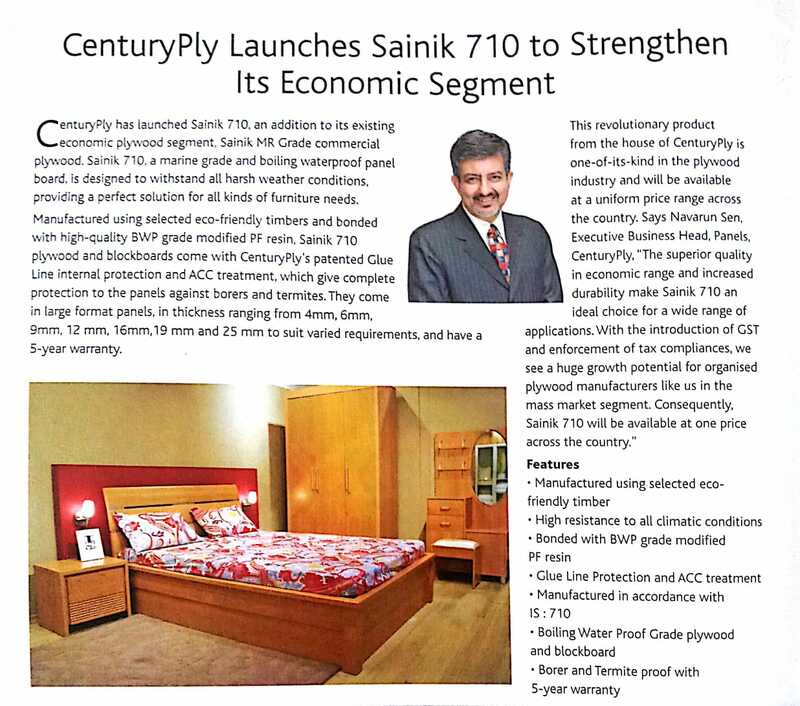 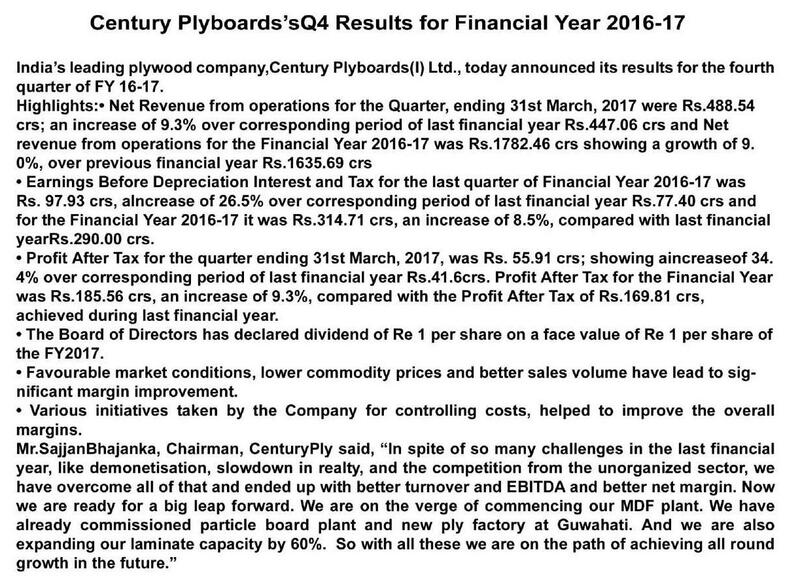 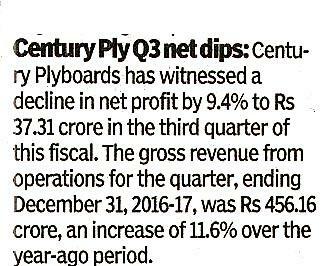 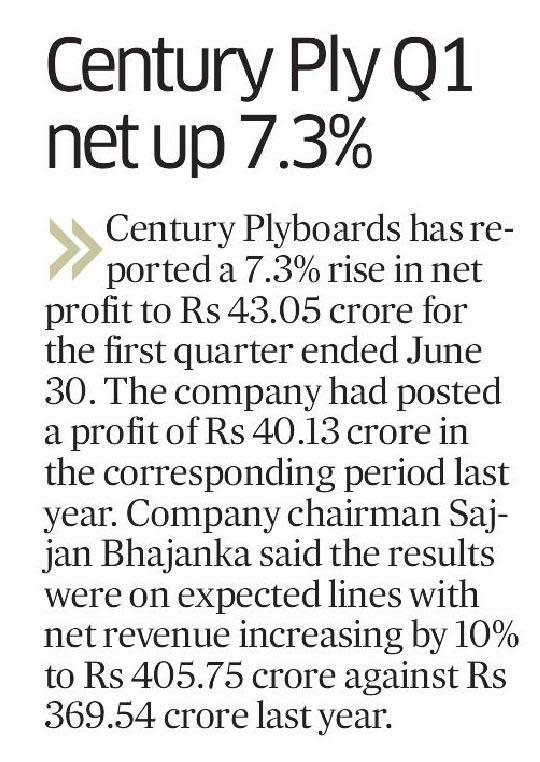 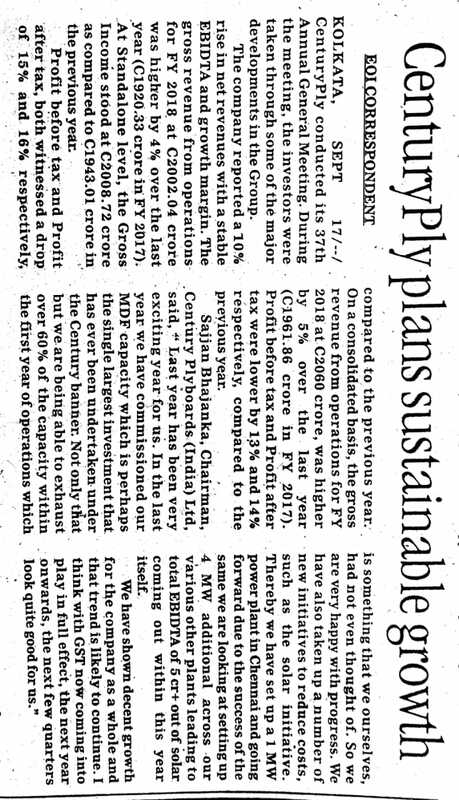 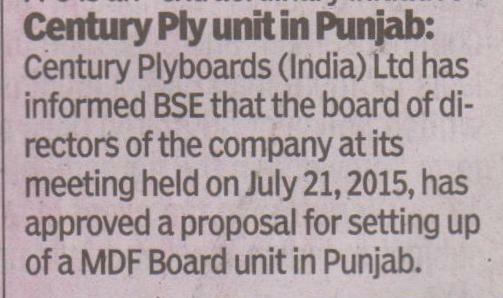 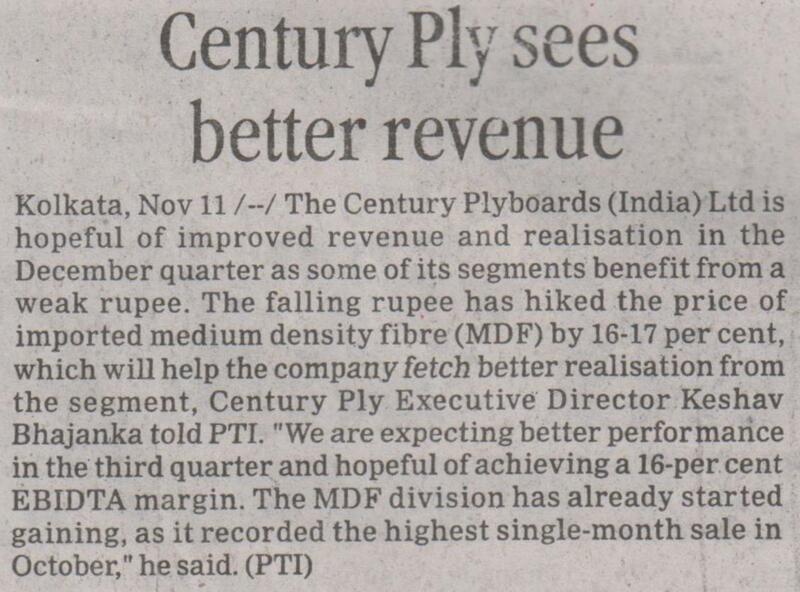 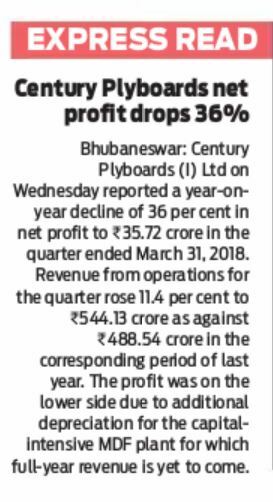 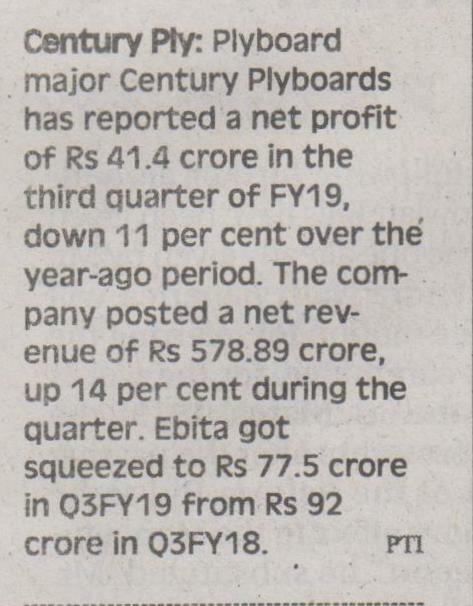 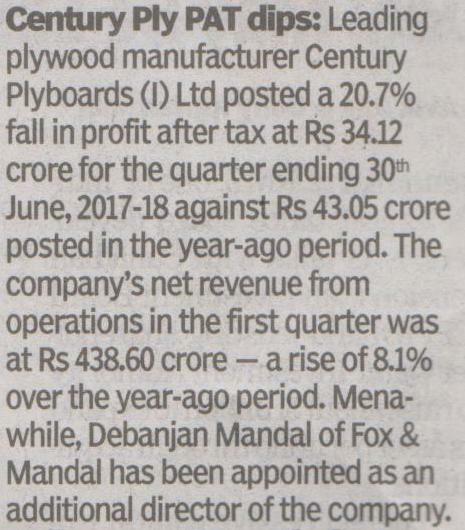 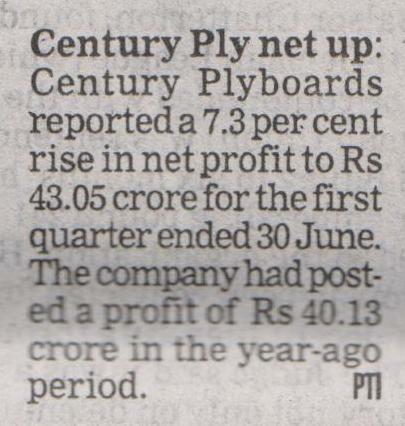 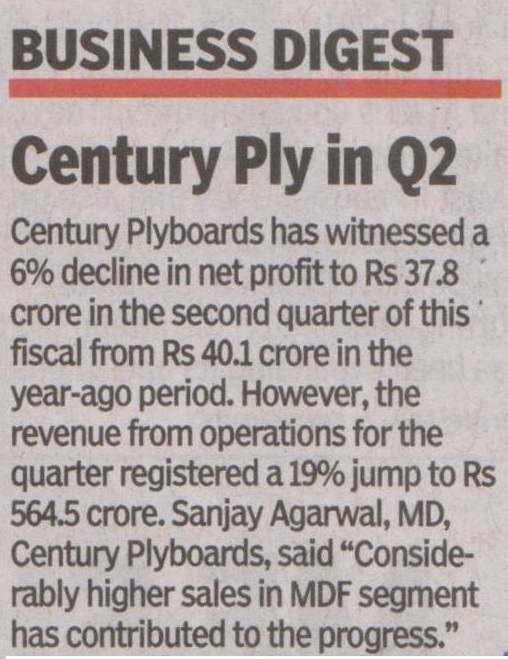 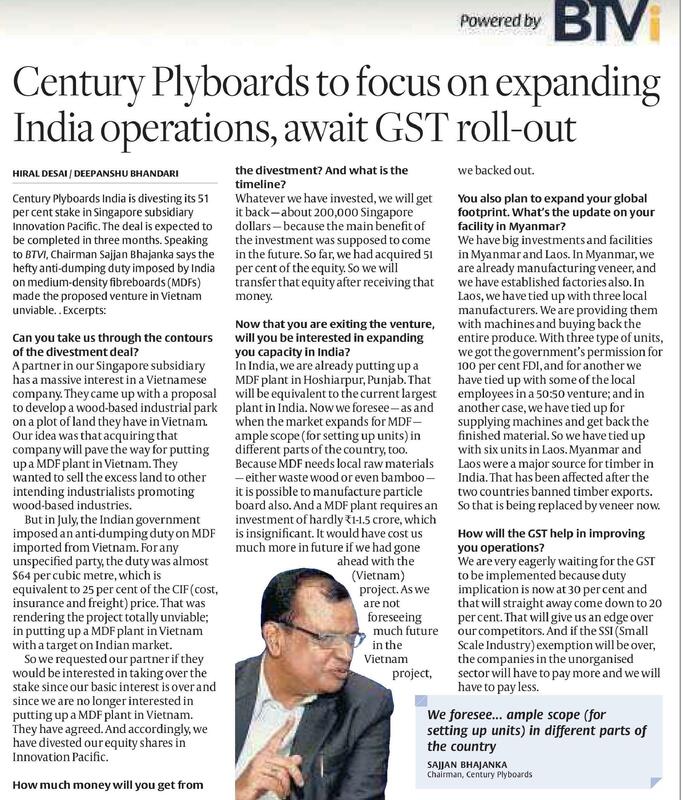 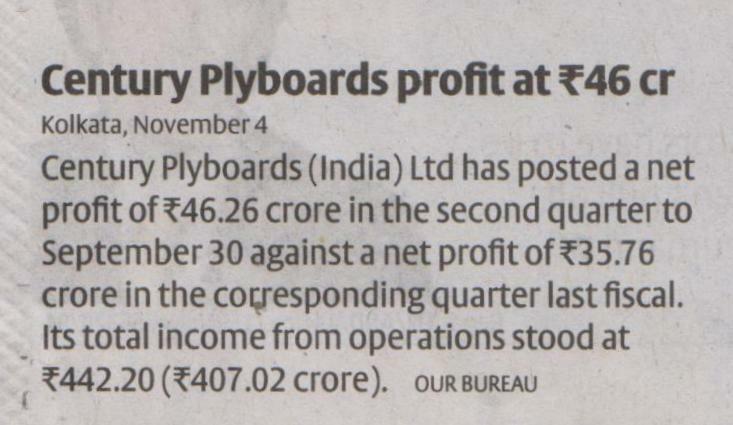 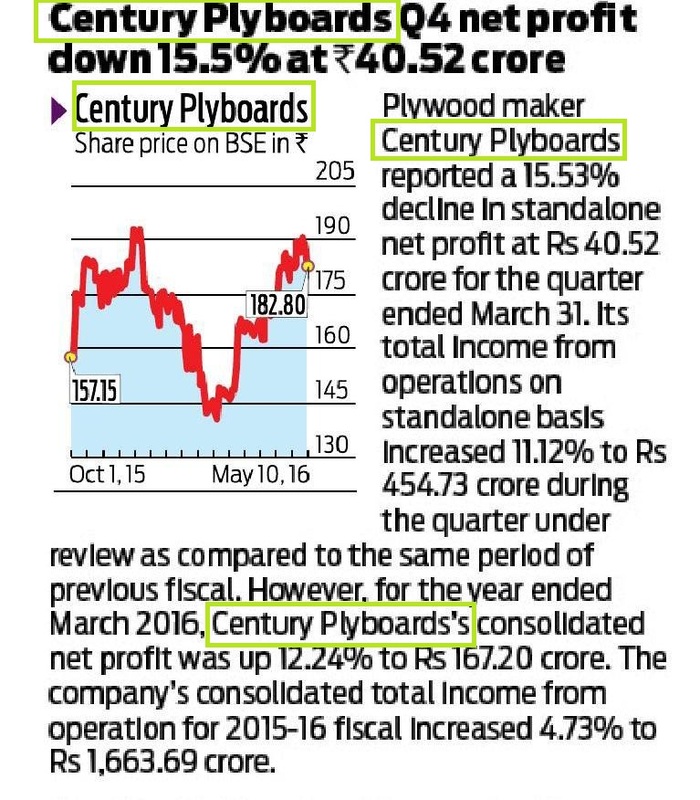 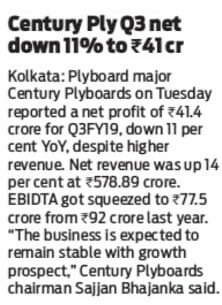 Century Plyboards to focus on expanding India operations, await GST roll - out. 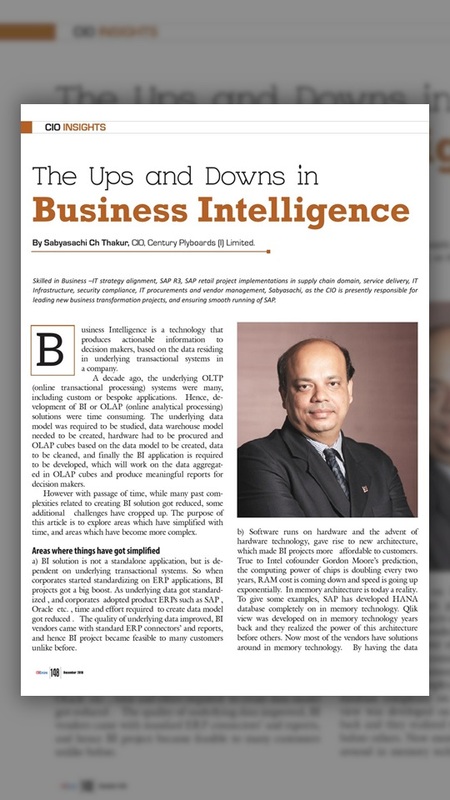 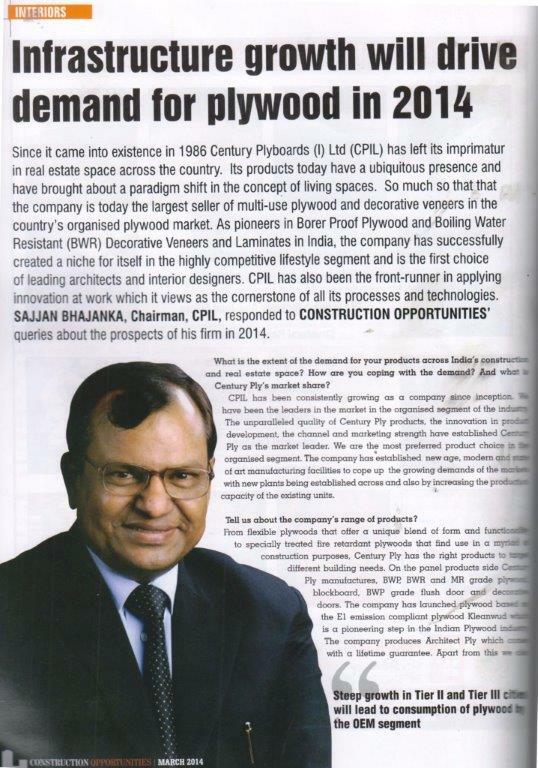 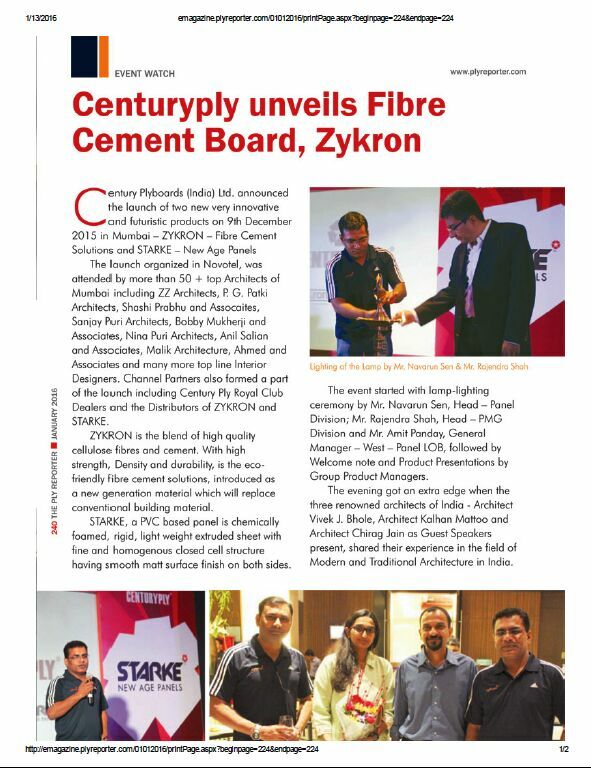 Coverage update on Zykron in Construction World magazine in the December issue, 2015. 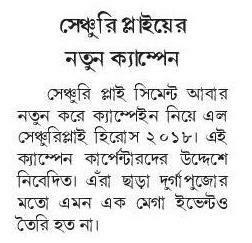 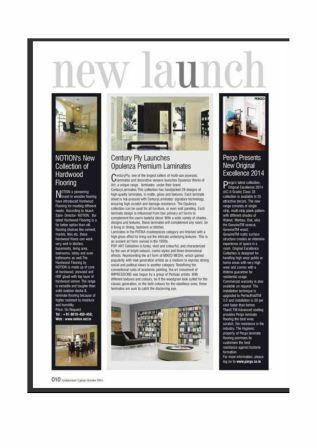 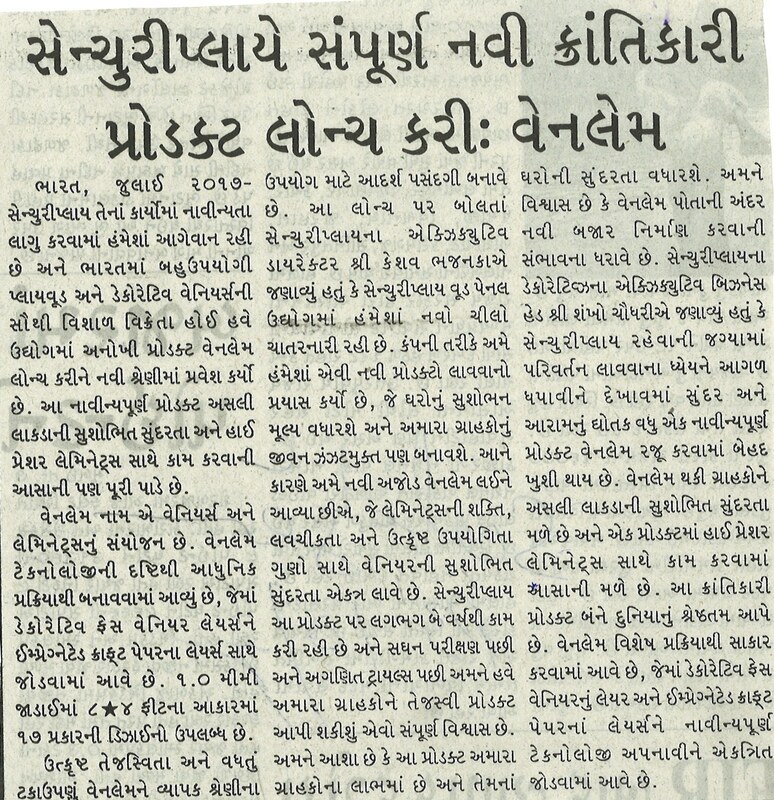 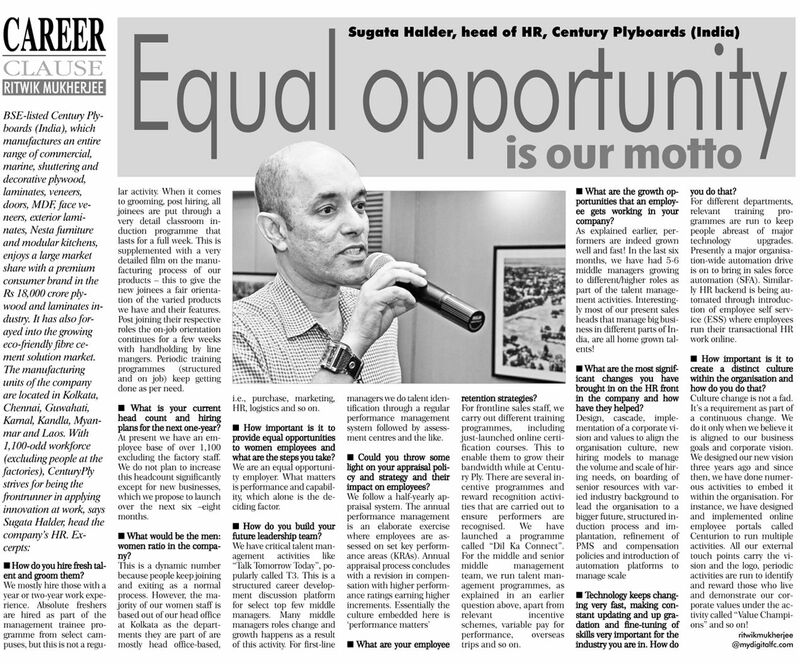 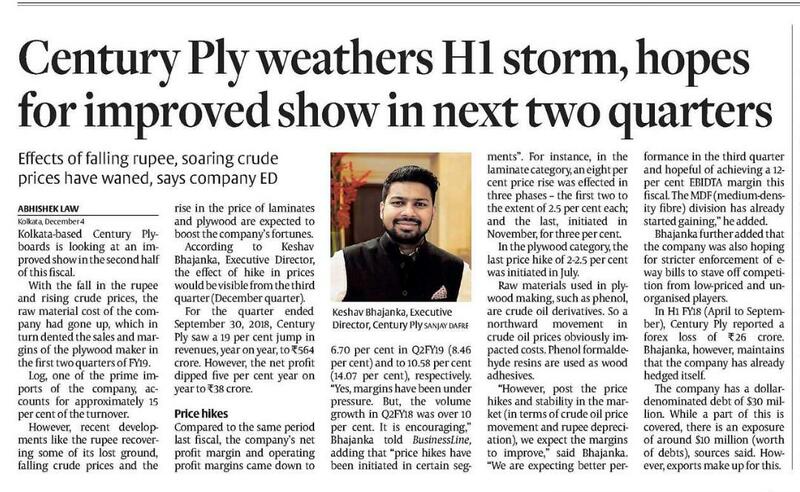 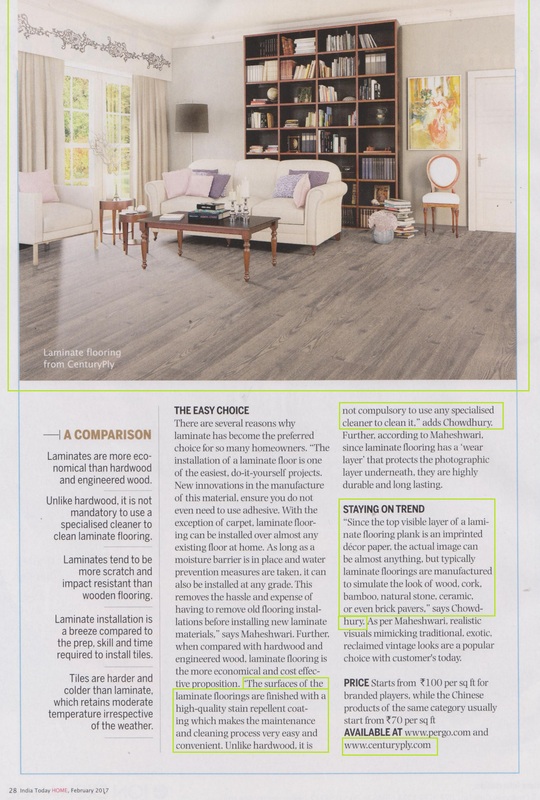 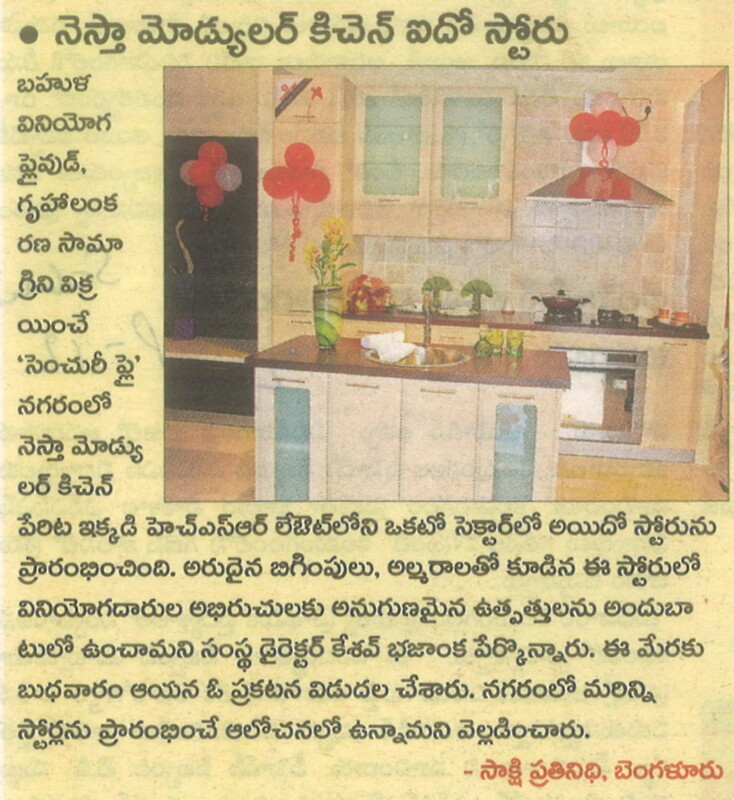 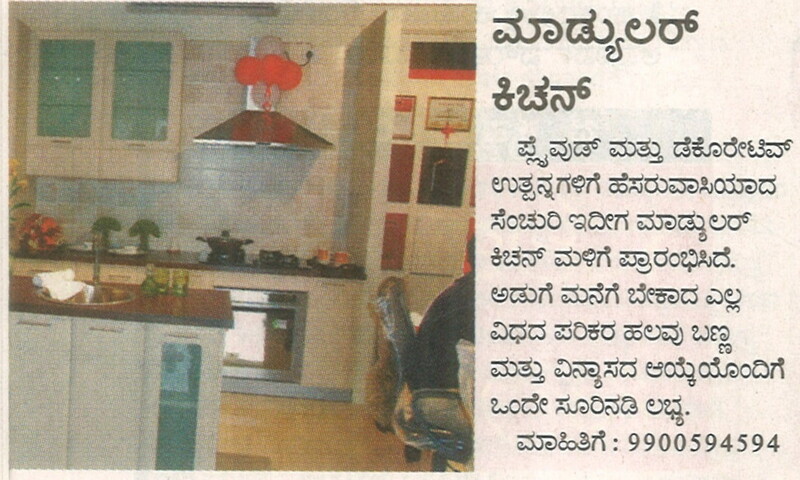 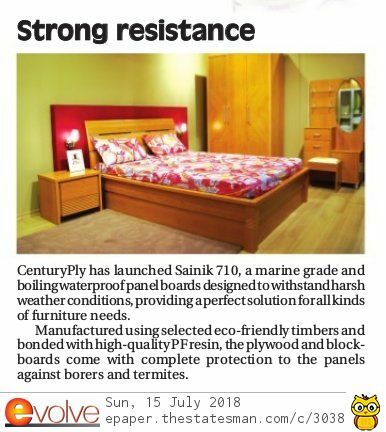 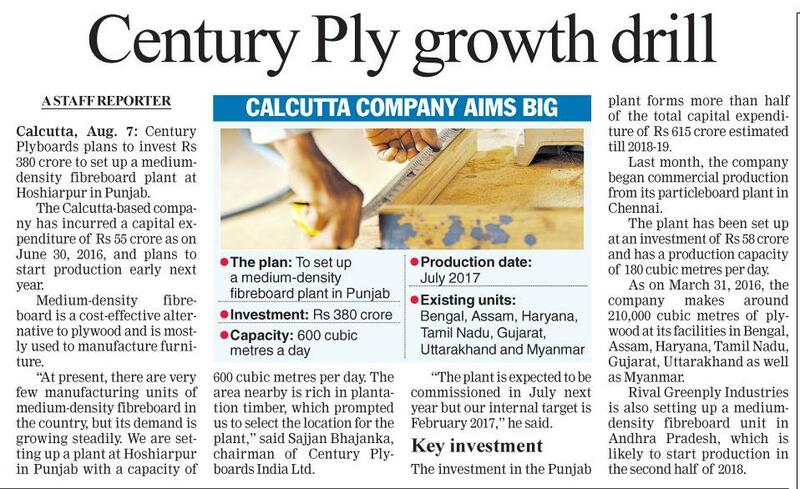 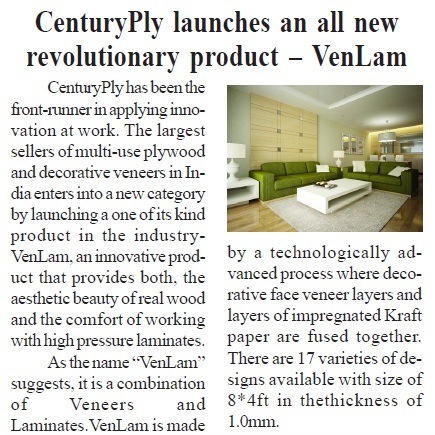 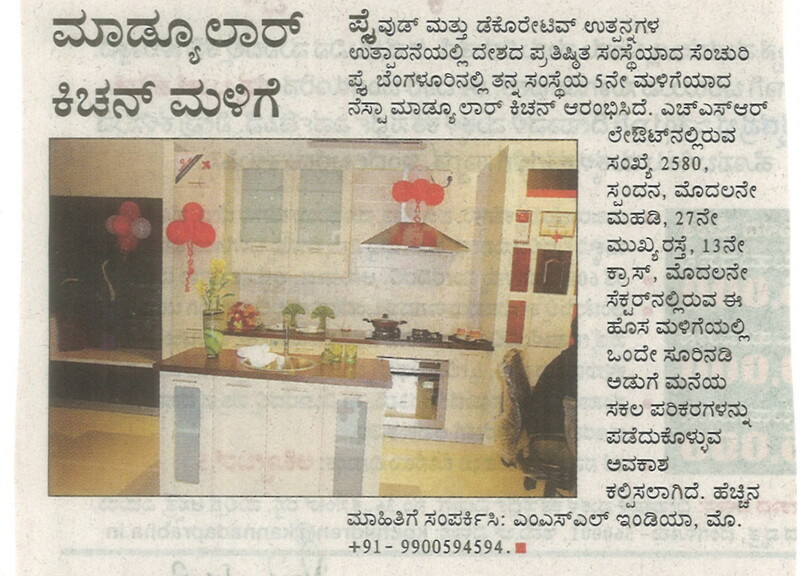 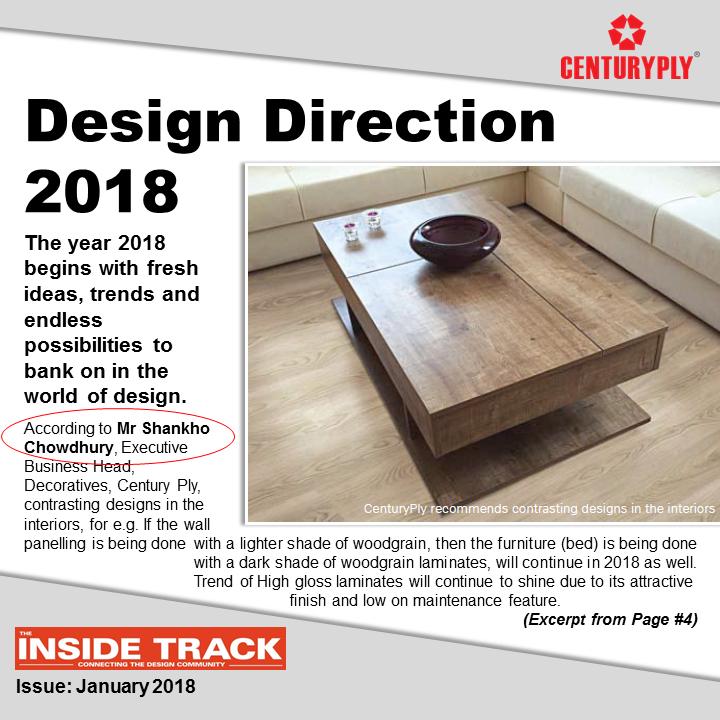 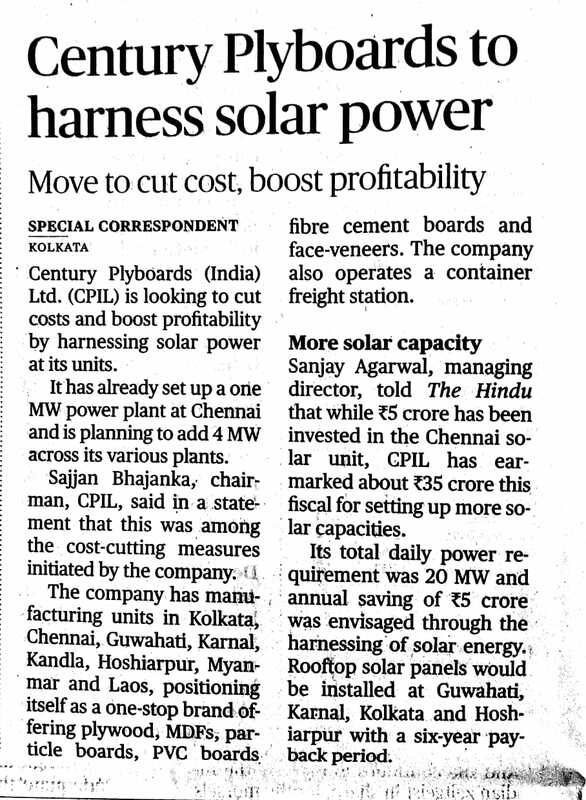 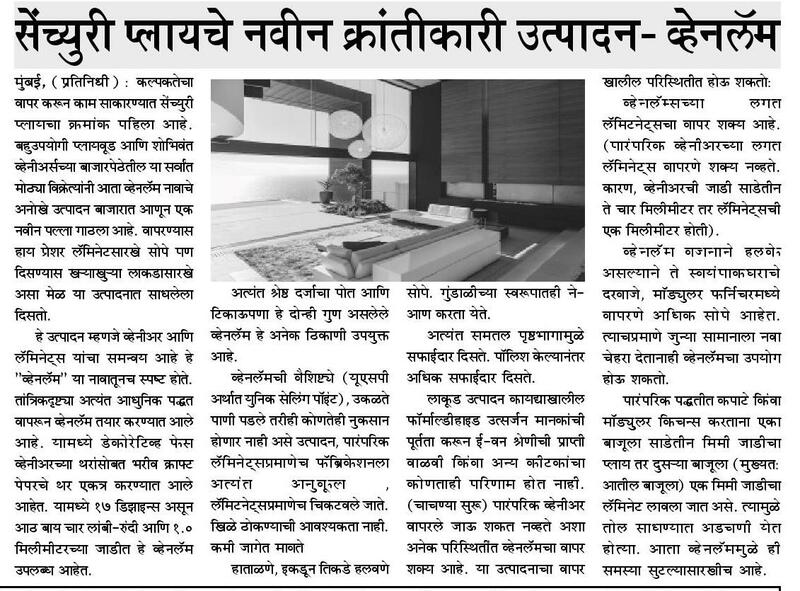 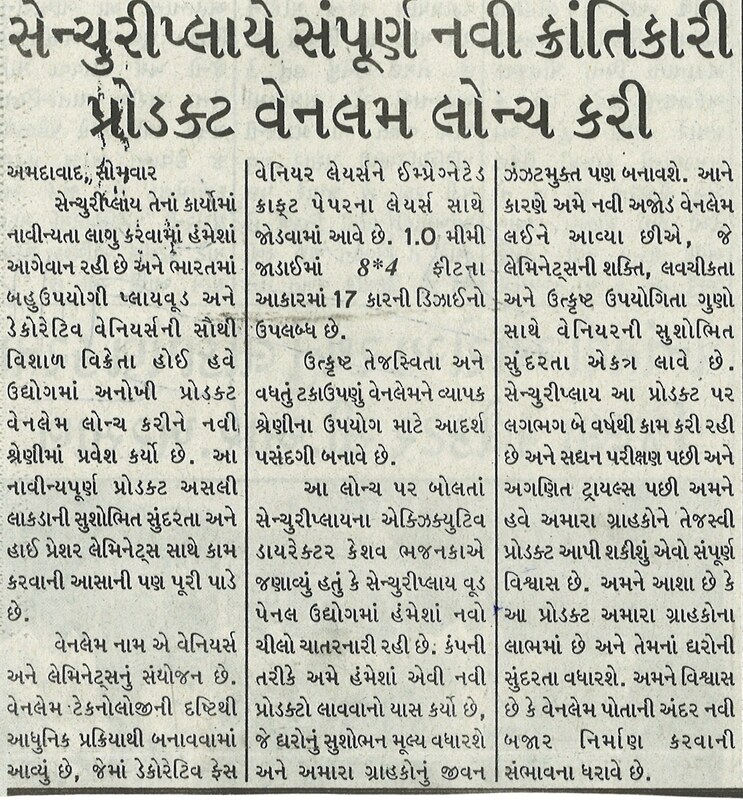 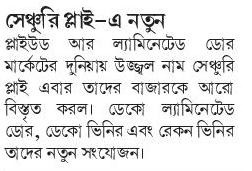 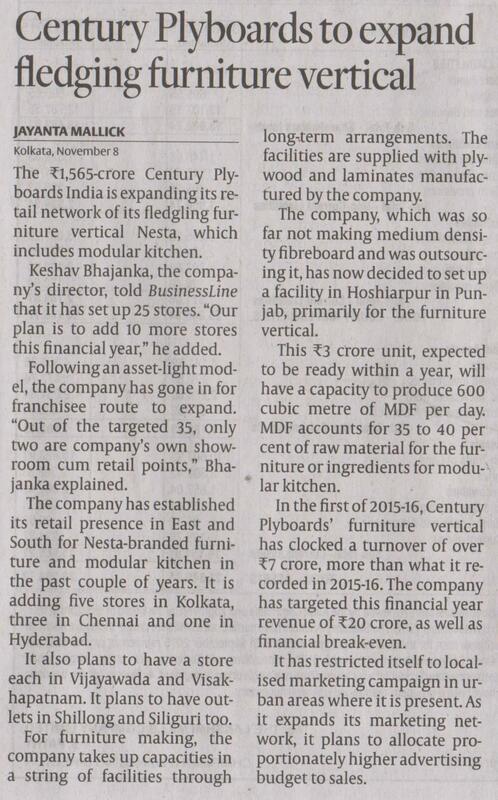 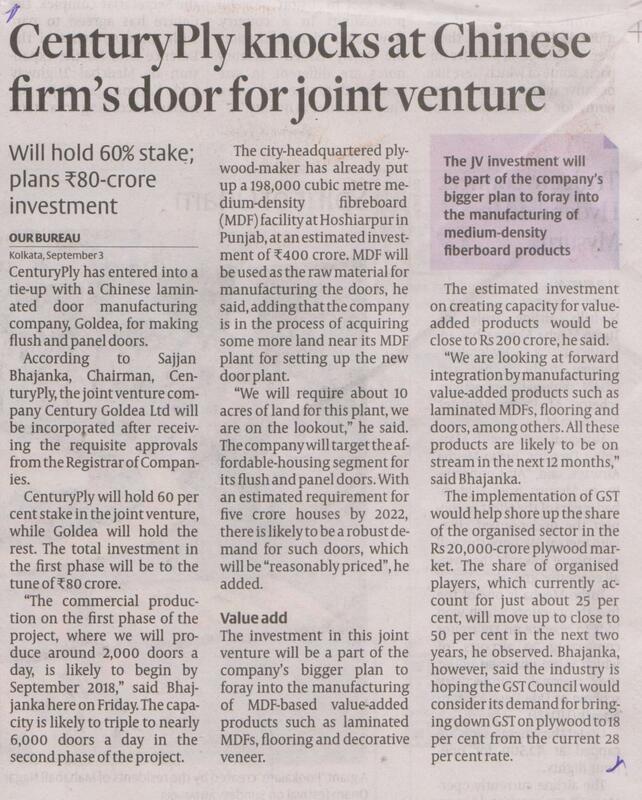 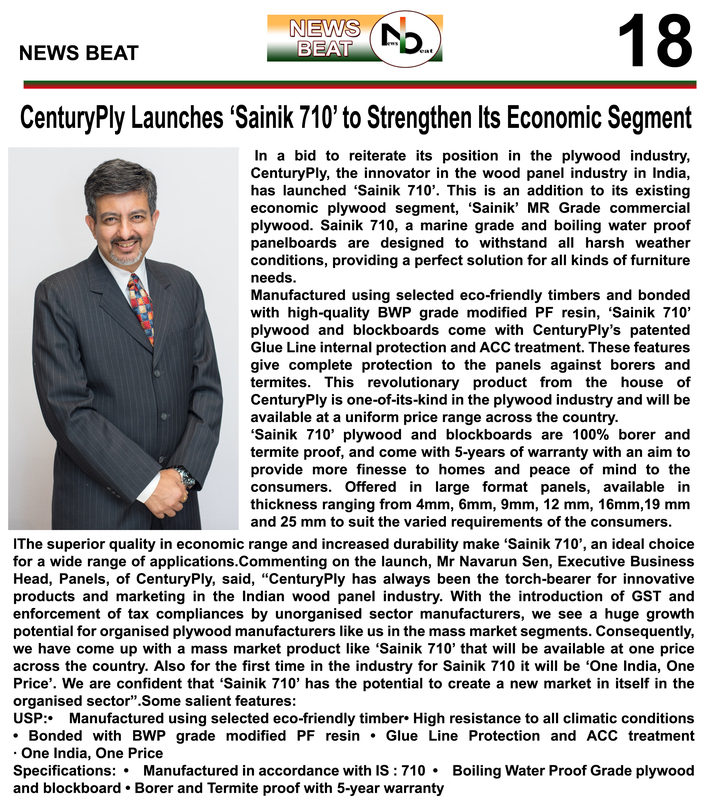 Coverage on Century Ply on Nesta Business. 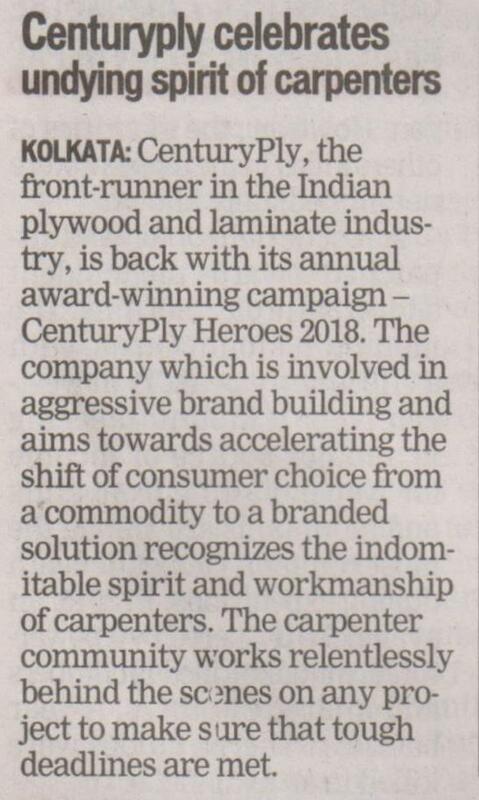 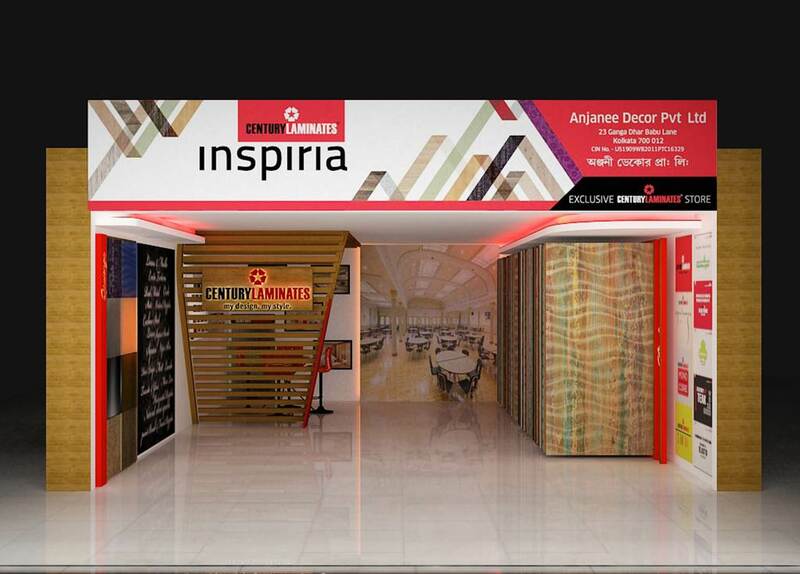 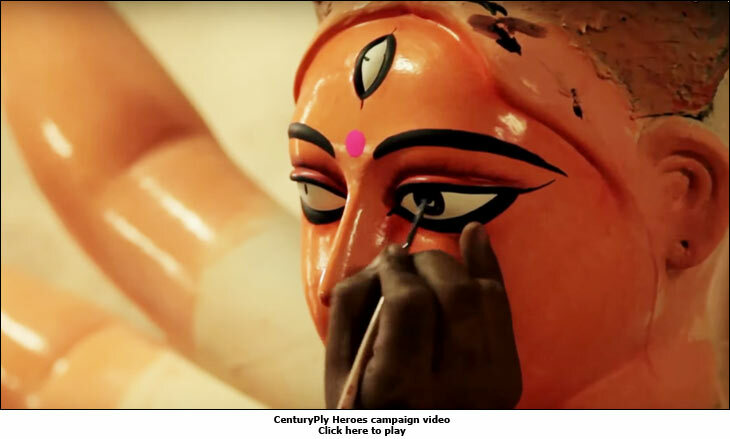 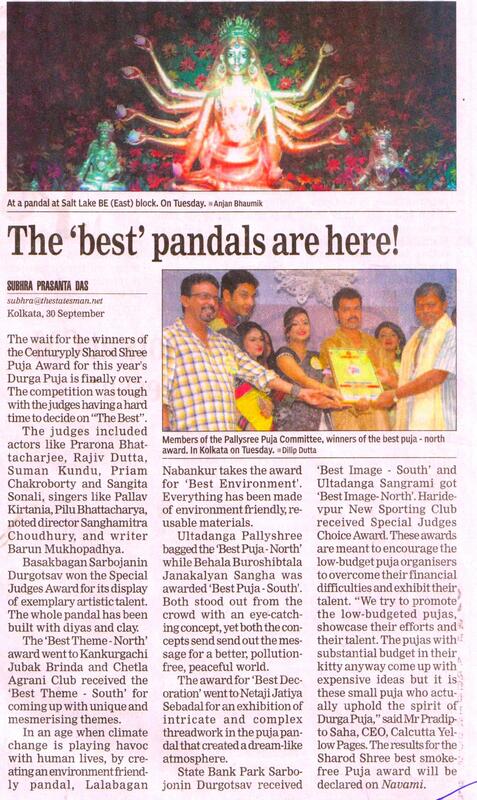 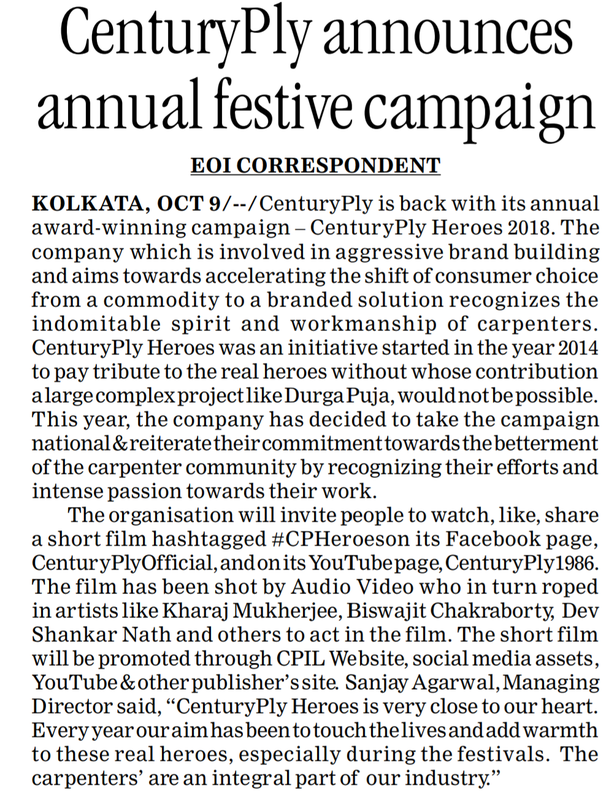 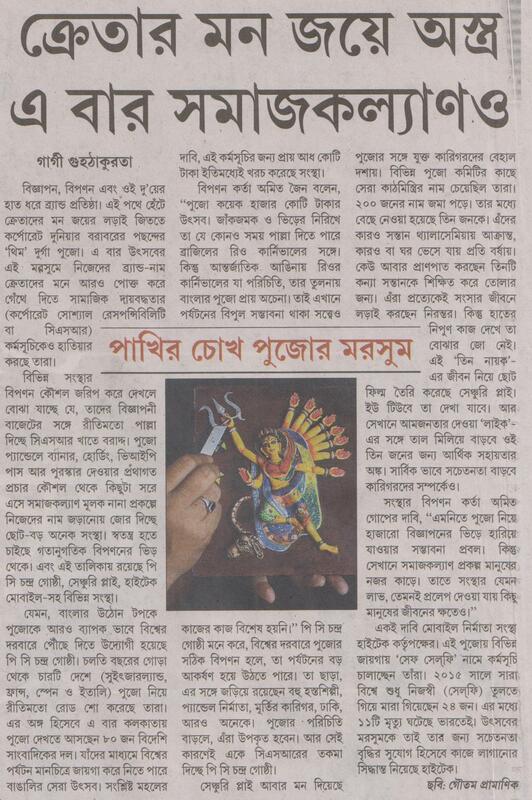 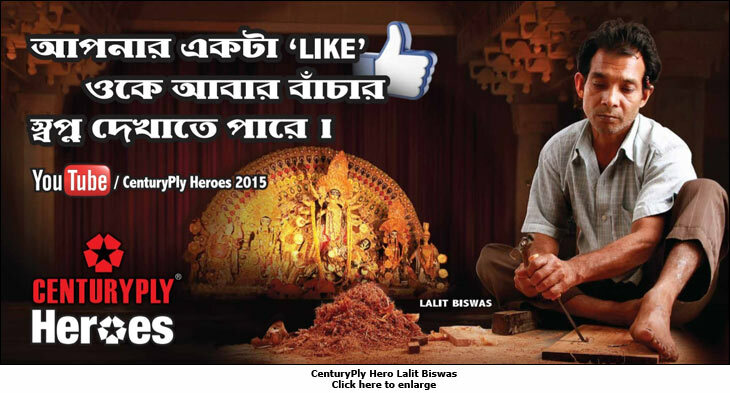 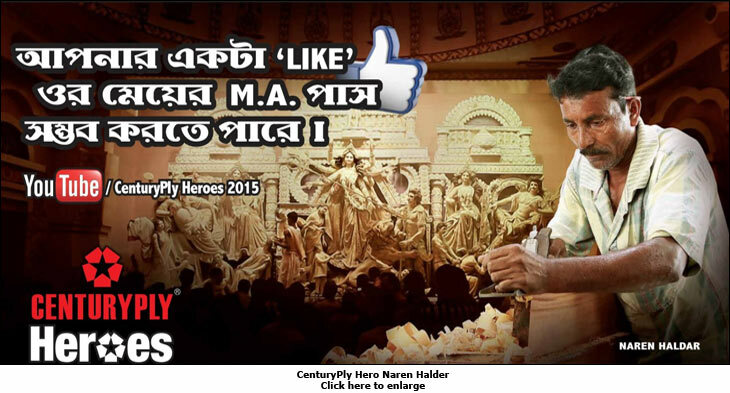 CenturyPly's Support to the Carpenters of Puja Pandals. 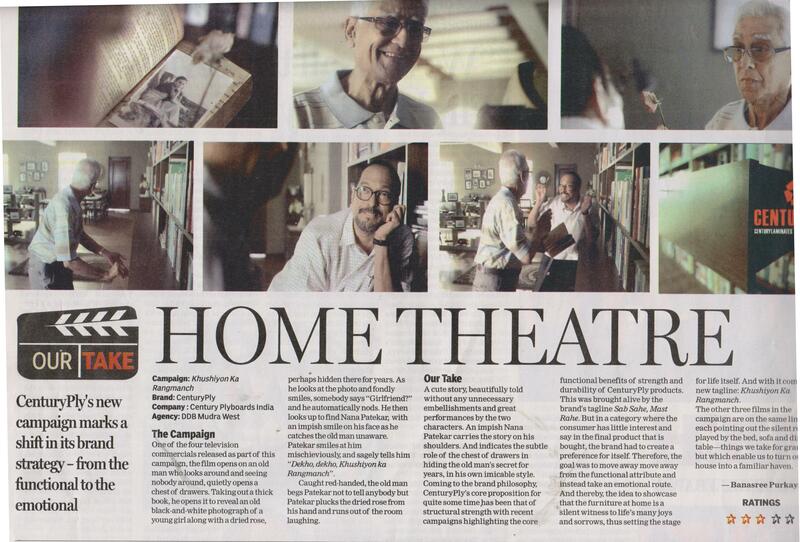 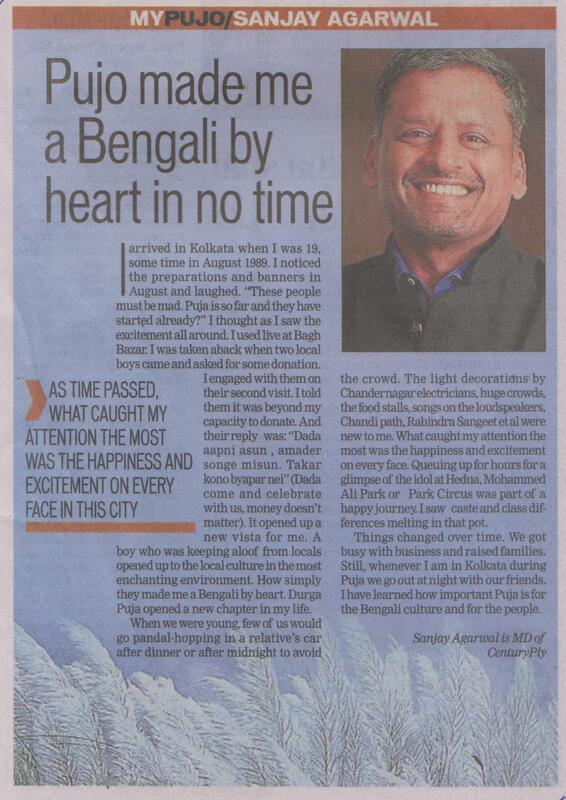 Keshav Bhajanka appeared in ET Panache in Mumbai. 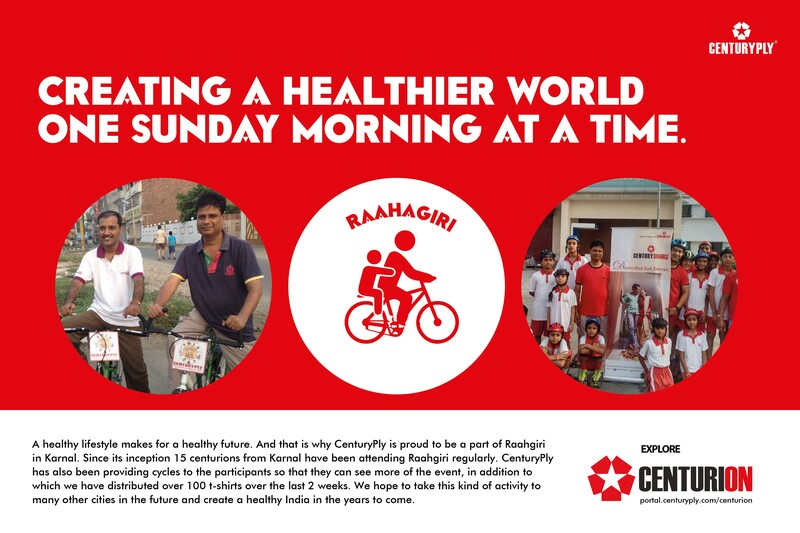 Come and join the Karnal Centurions & be a part of Rahagiri ! 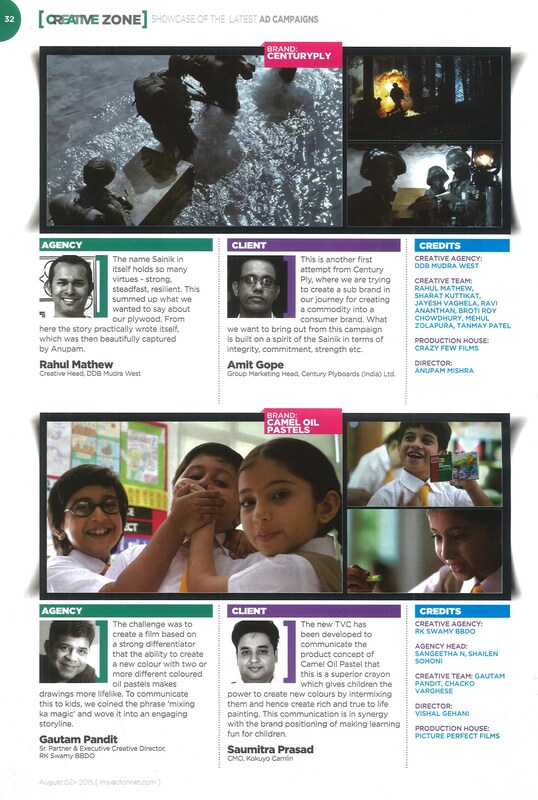 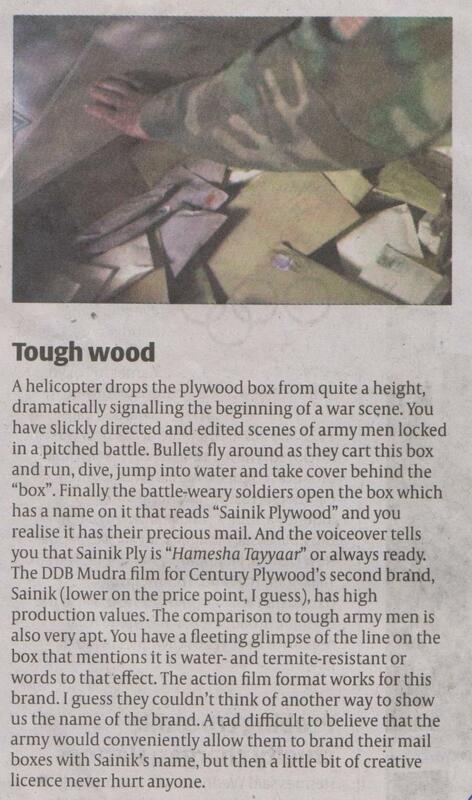 Sainik TVC Coverage in Impact magazine. 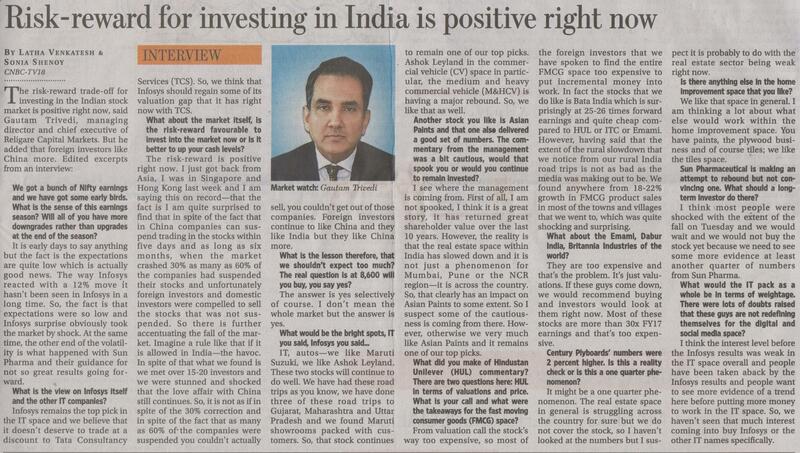 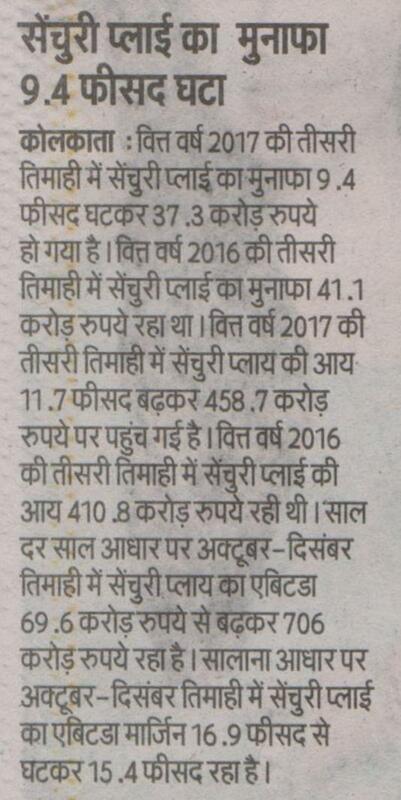 Risk Reward for investing in India is positive right now. 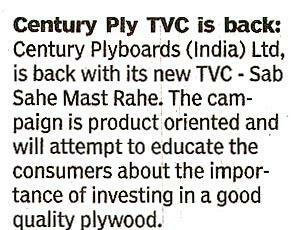 Nana Patekar to endorse Centuryply ? 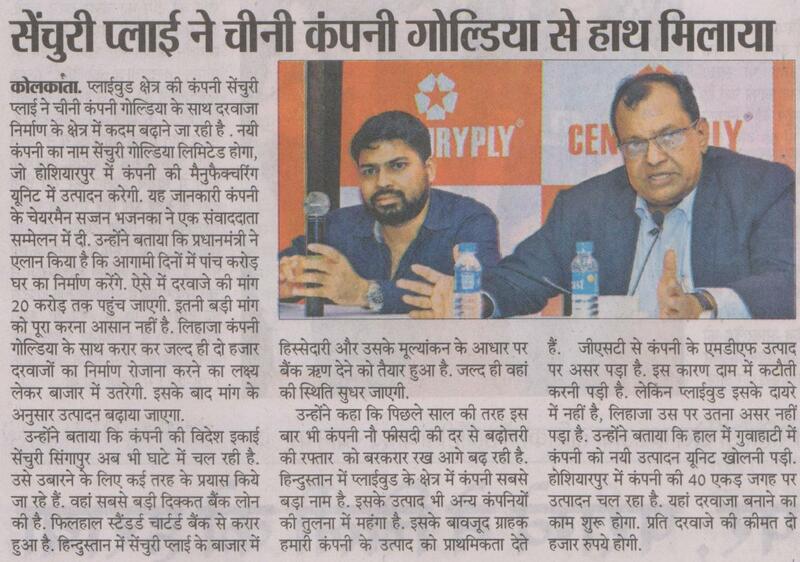 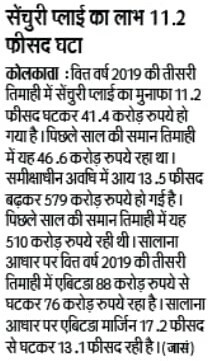 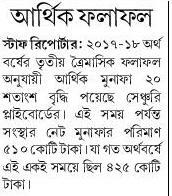 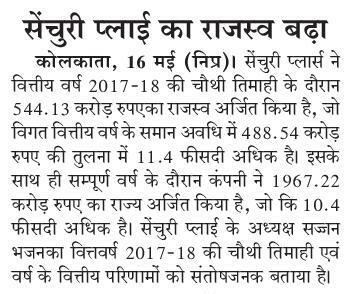 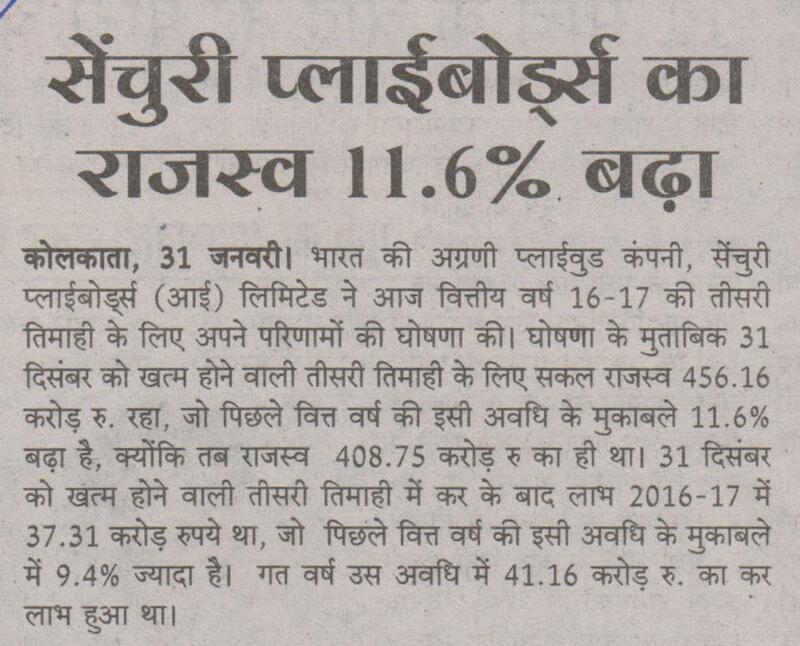 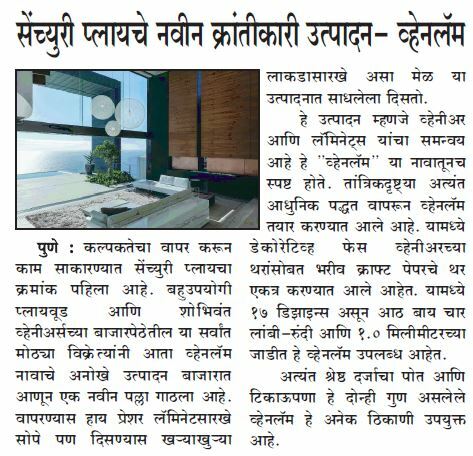 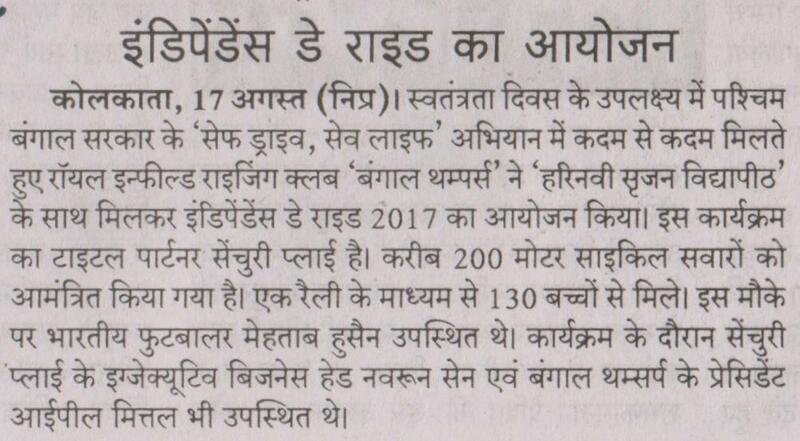 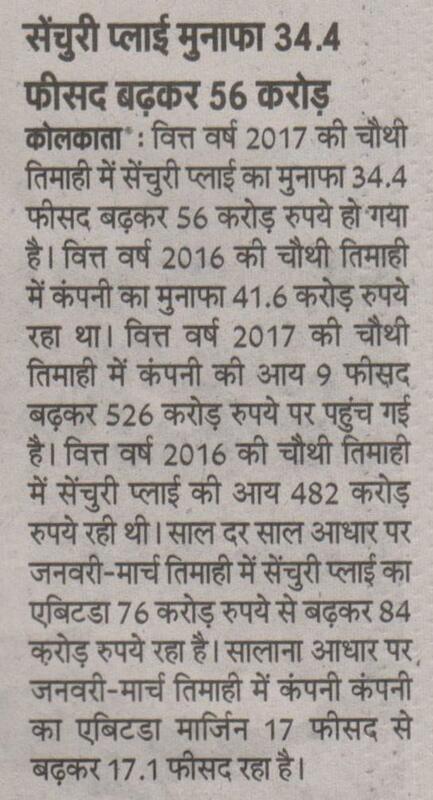 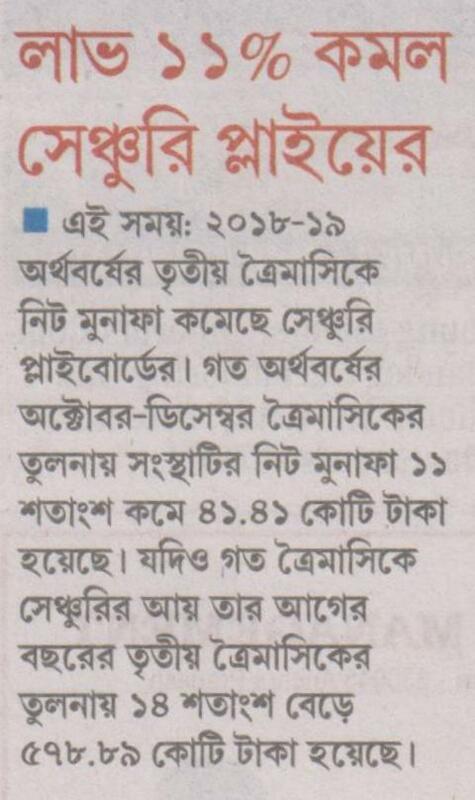 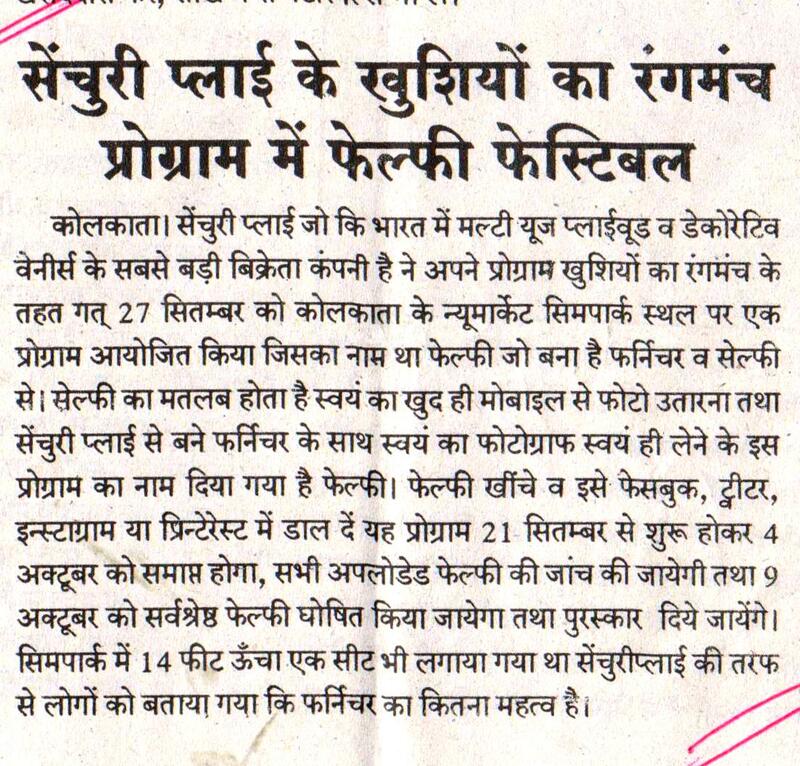 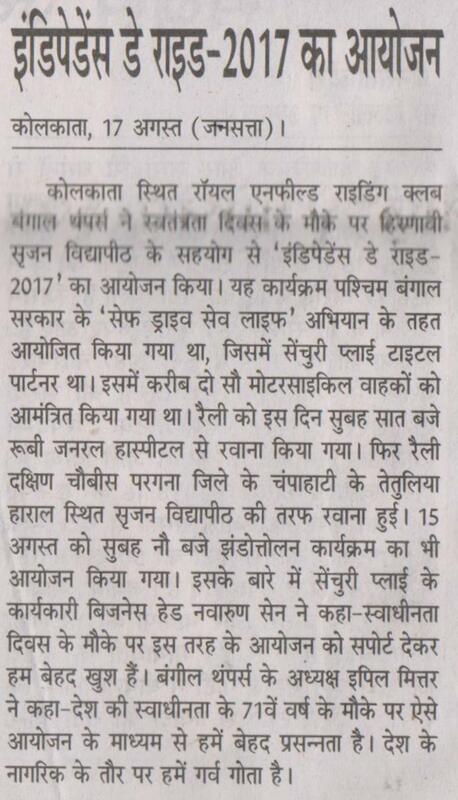 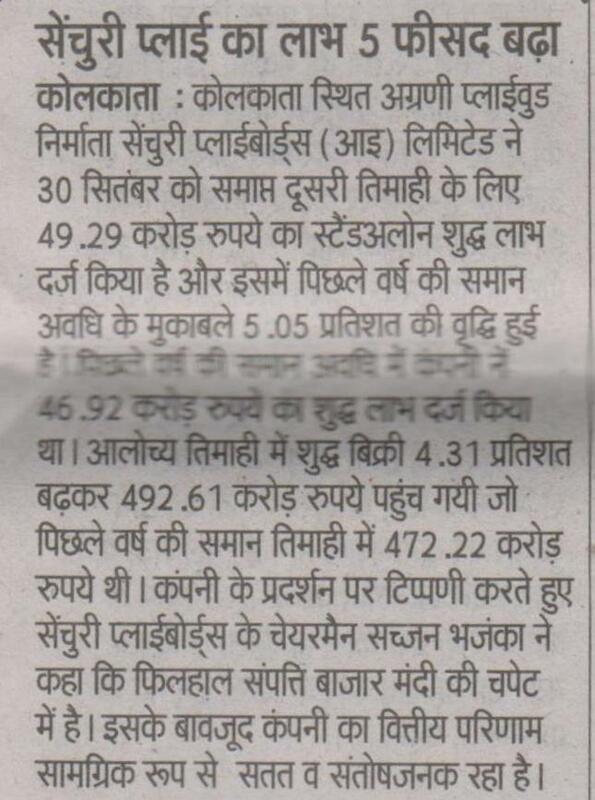 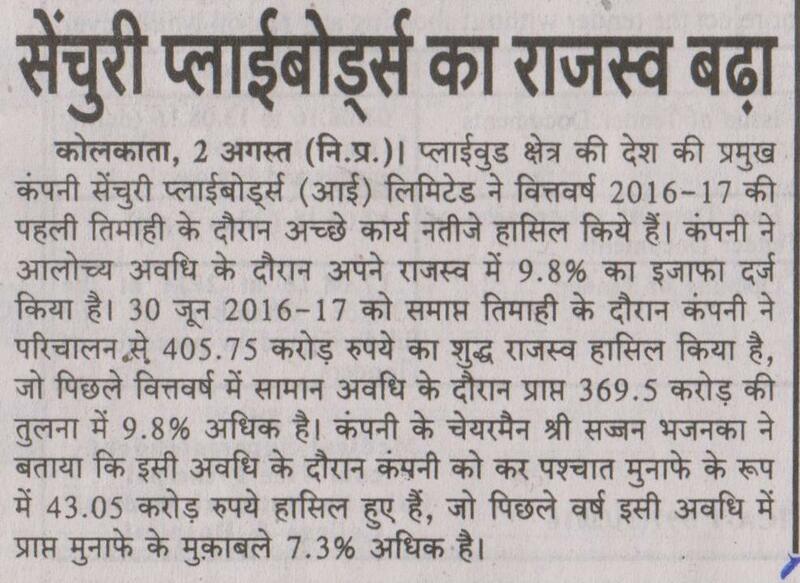 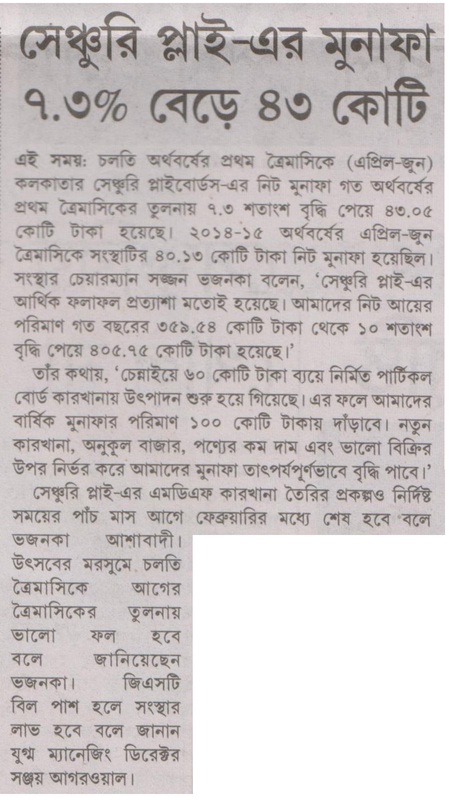 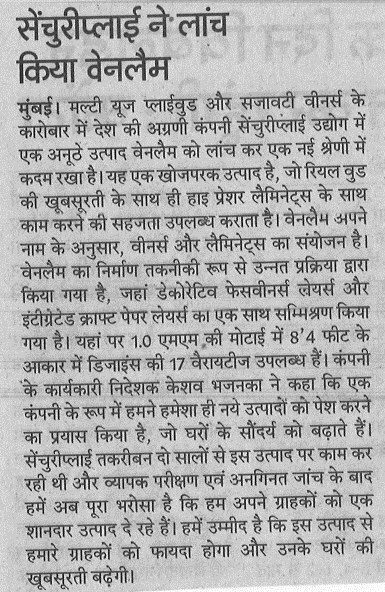 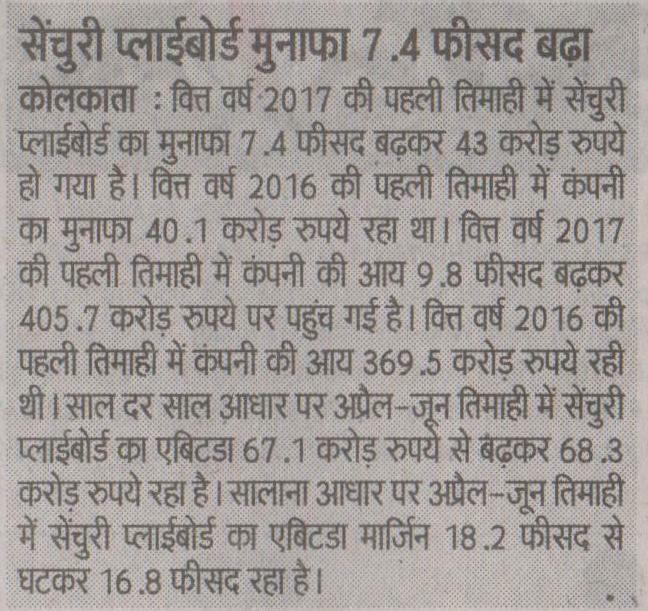 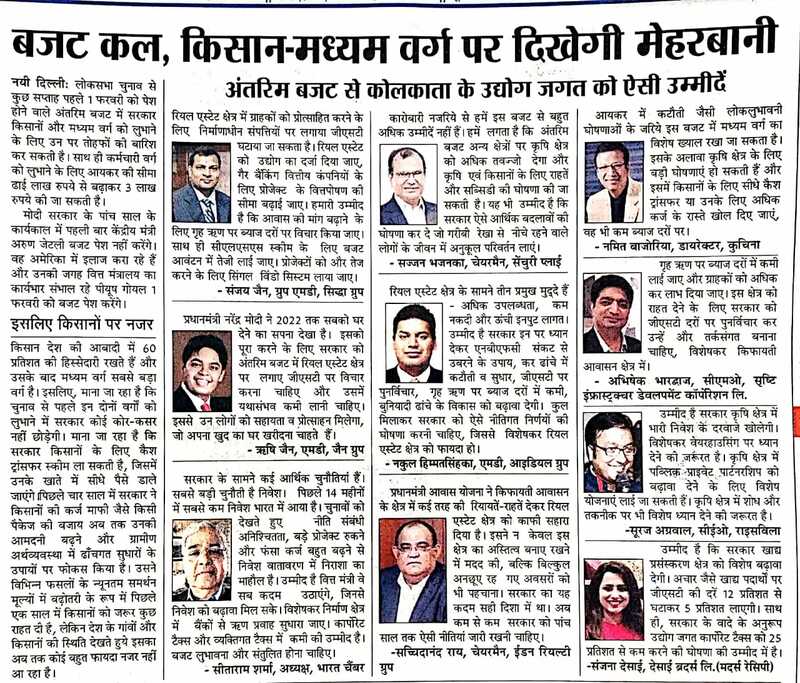 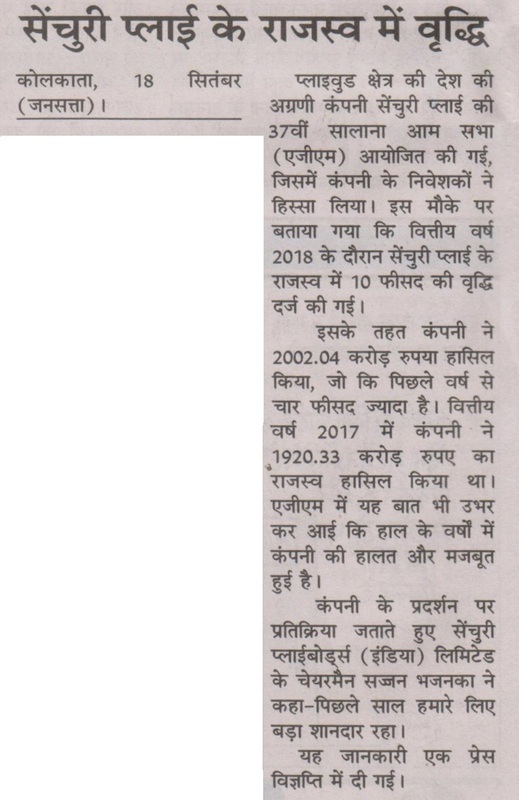 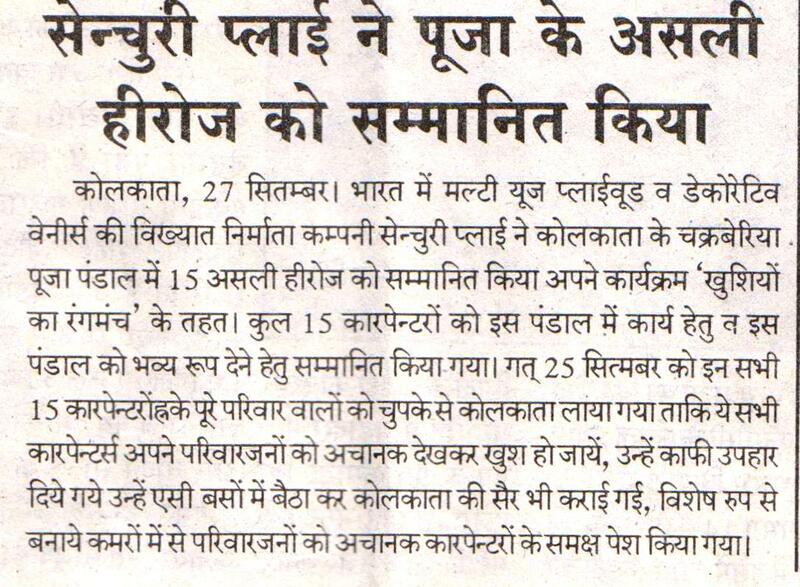 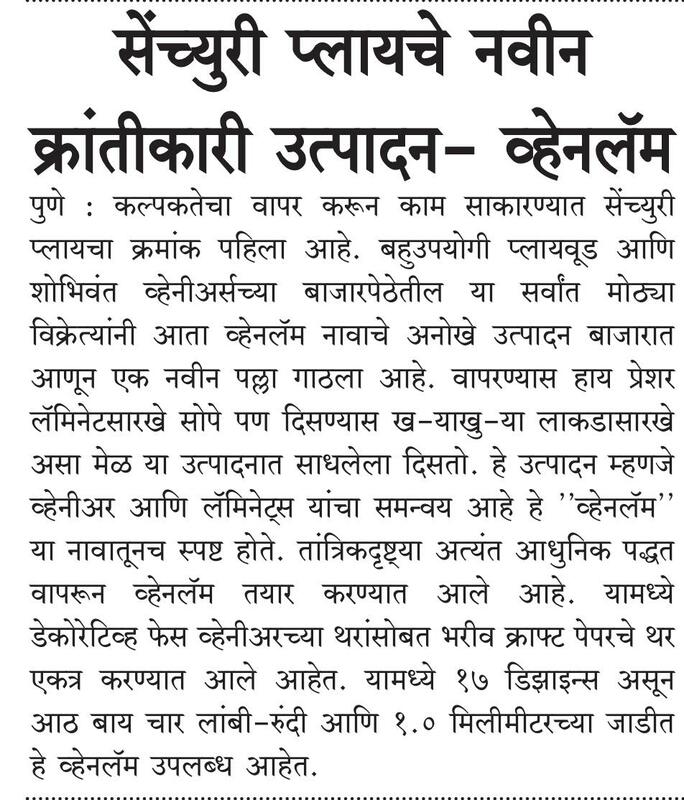 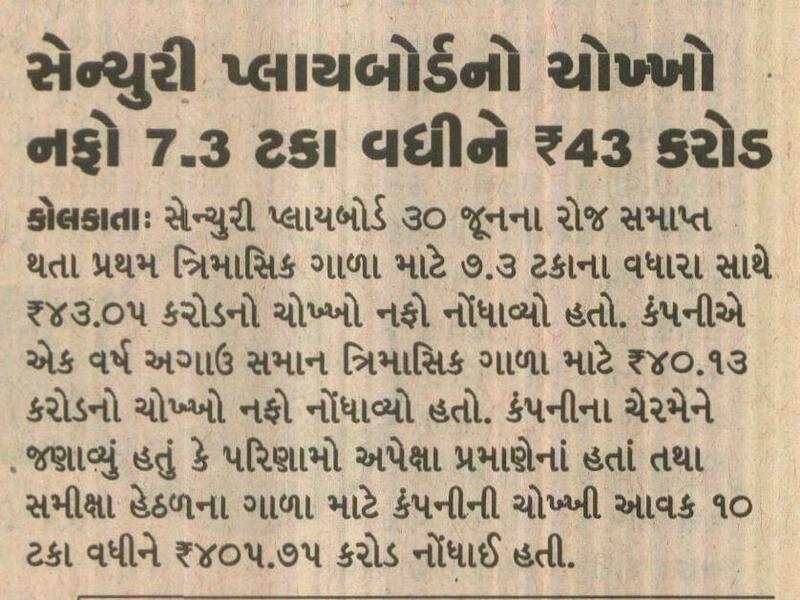 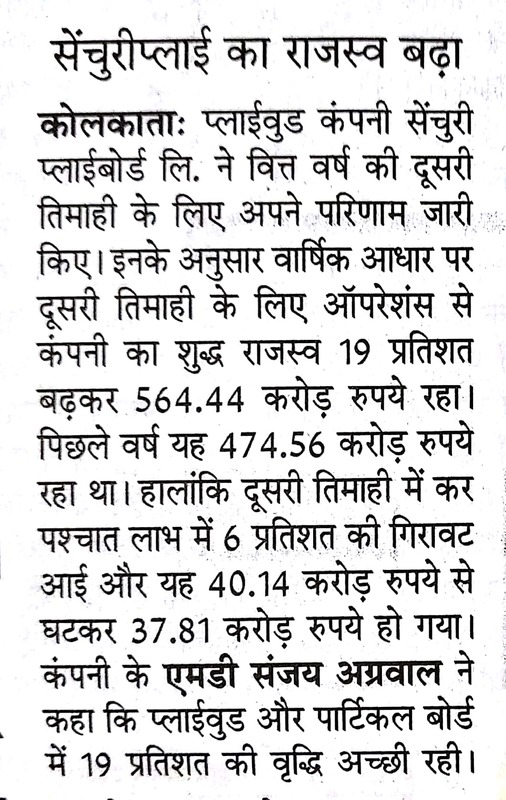 Launch of Opulenza Premium Laminates in Dainik Vishwamitra.